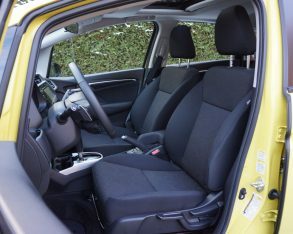 it inside and played around with its innovative rear seating system at the 2006 North American International Auto Show in Detroit, to when I first experienced that new 2007 version in the metal, and then tested much-improved updated versions in 2010 and 2011, to just last month when I got behind the wheel of the all-new 2015 model, the Honda Fit has always impressed me with class-leading functionality, good road manners and great fuel economy. 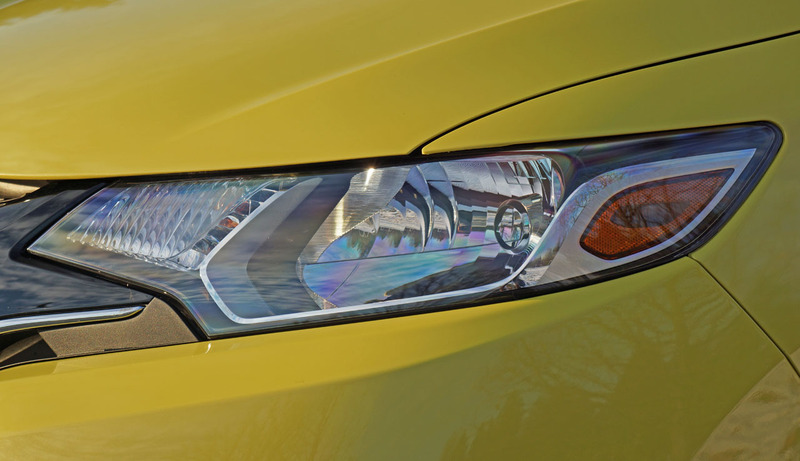 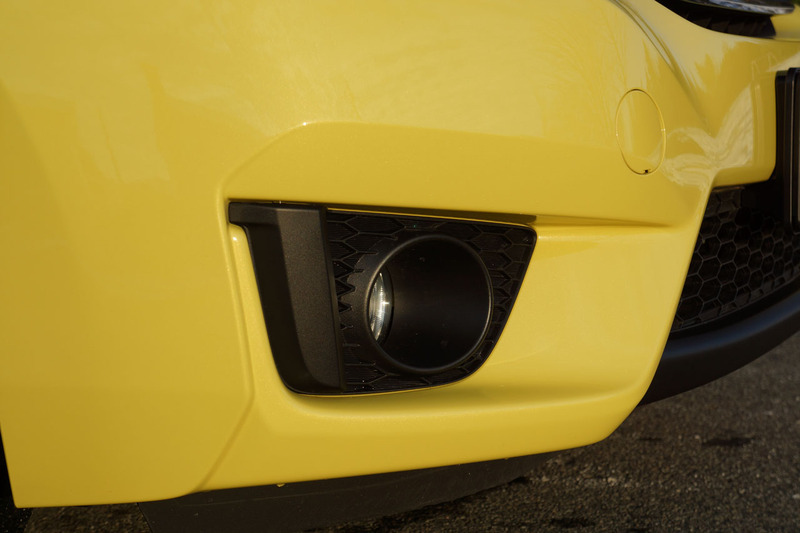 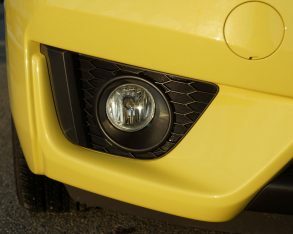 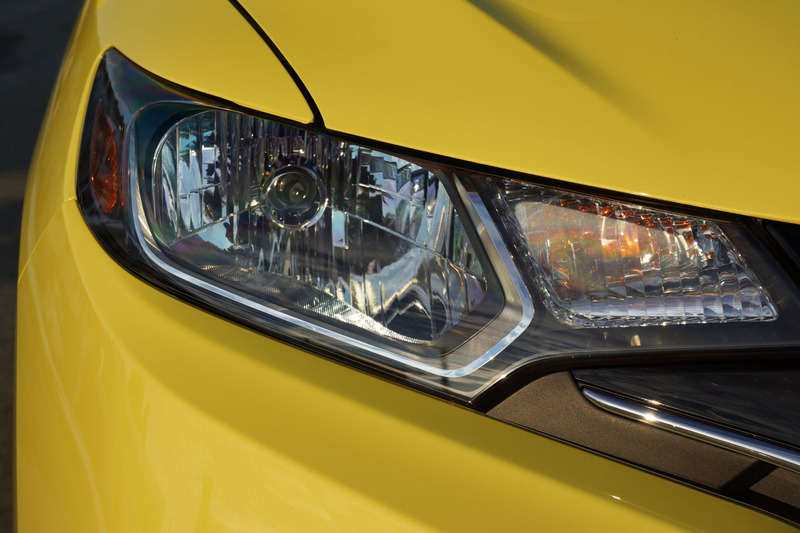 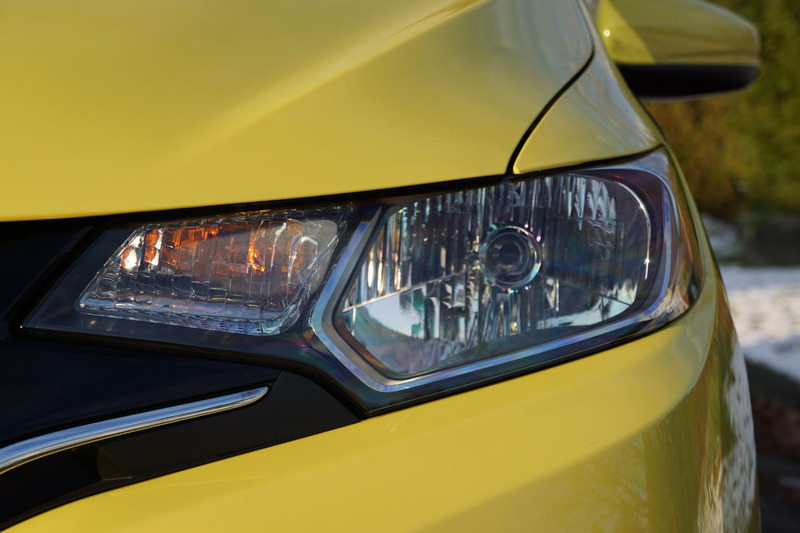 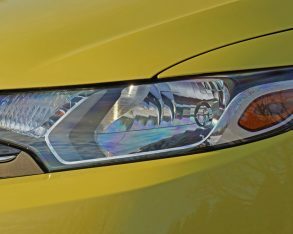 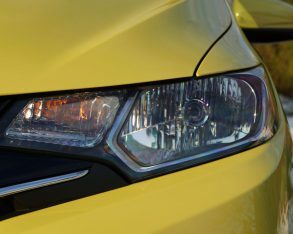 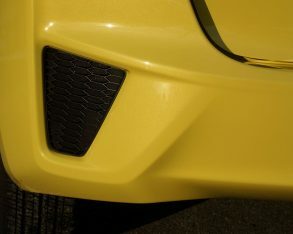 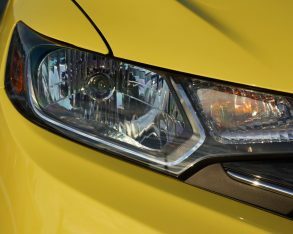 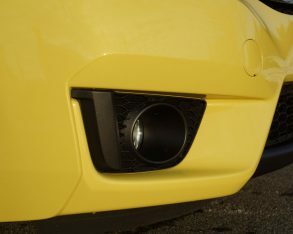 a much more dramatic statement, especially in its retina-searing Mystic Yellow Pearl launch colour. 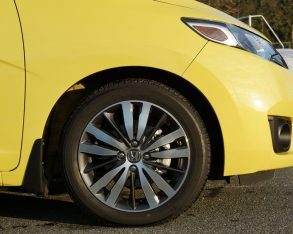 Turan tires combine with nicely sculpted sheet metal for a car that’s lost all of its early awkwardness. 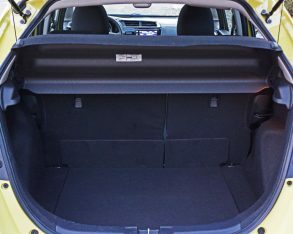 competitors are anywhere near as capable of hauling gear, so if you happen to be one of those “active lifestyle” consumers automakers are always targeting with their marketing material, you can’t be better served by any rival small car. 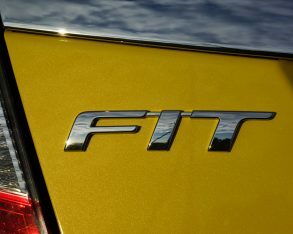 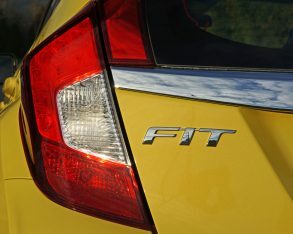 get-up-and-go, the new Fit has made big gains over its predecessor in fuel economy with a claimed rating of 8.1 L/100km in the city, 6.4 on the highway and 7.3 combined when mated up to the car’s standard six-speed manual gearbox, or an even more impressive 7.0 city, 5.7 highway and 6.4 combined with fitted with the all-new continuously variable transmission (CVT). 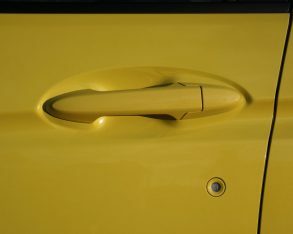 EX models and above, allowing a little more hands-on fun while slinking the Fit through the curves. 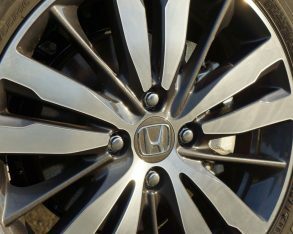 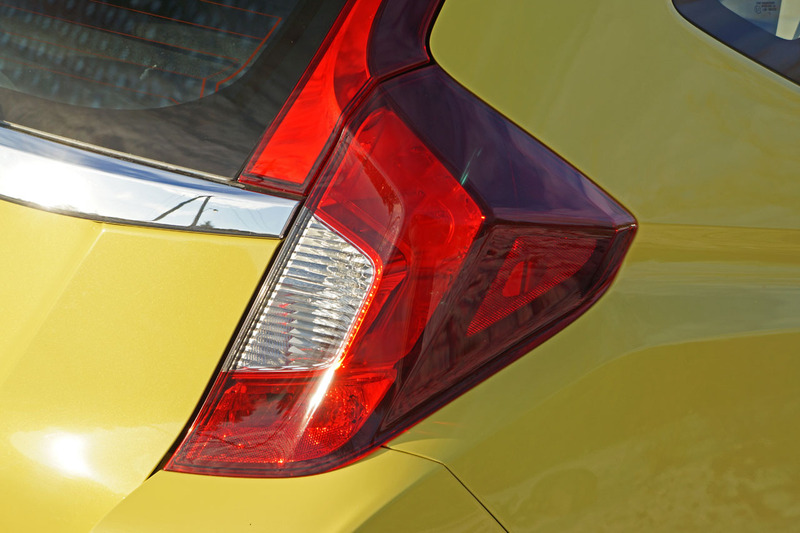 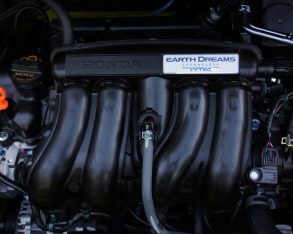 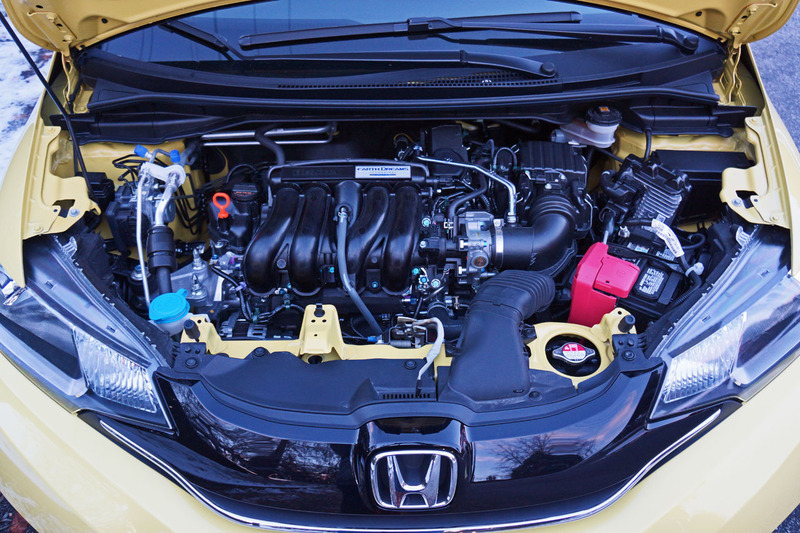 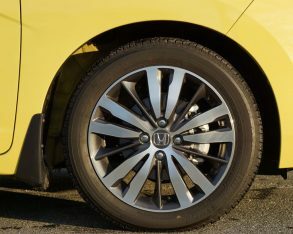 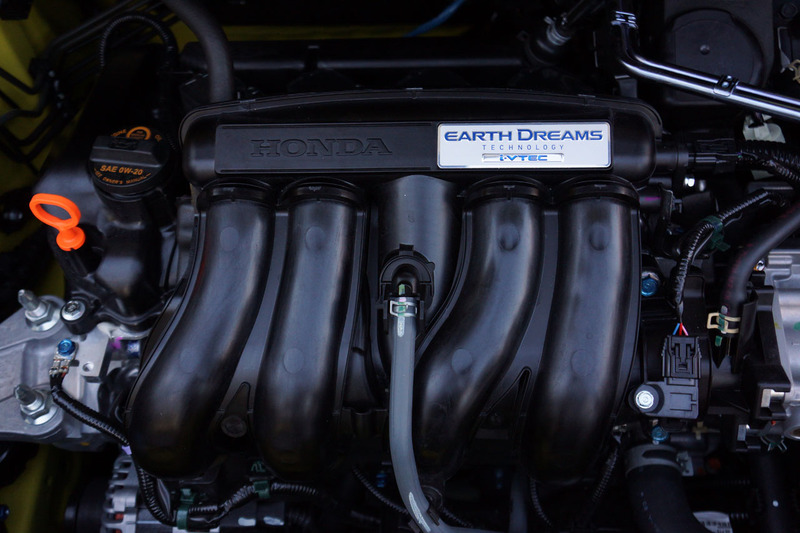 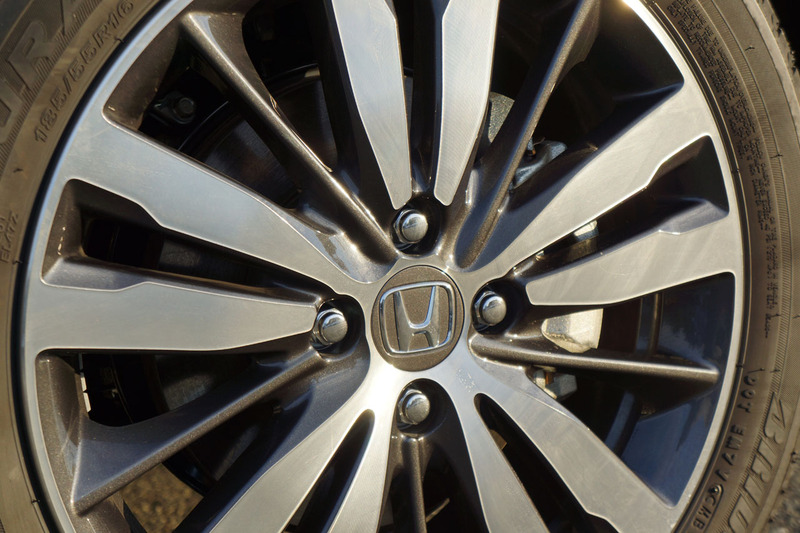 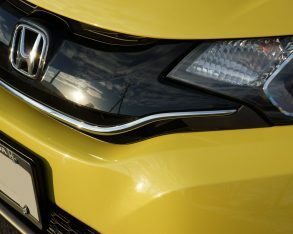 Helping handling as much as fuel-efficiency, Honda’s engineers managed to chop 26 kilos (57 lbs) of excess fat from the previous model that was arguably already pretty skinny, while simultaneously improving structural rigidity by using more high-strength steel. 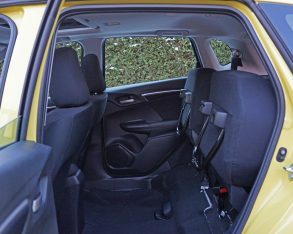 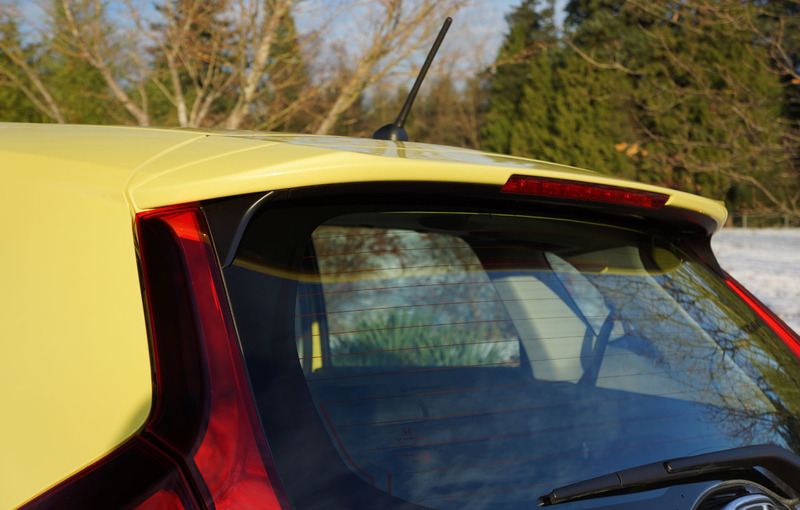 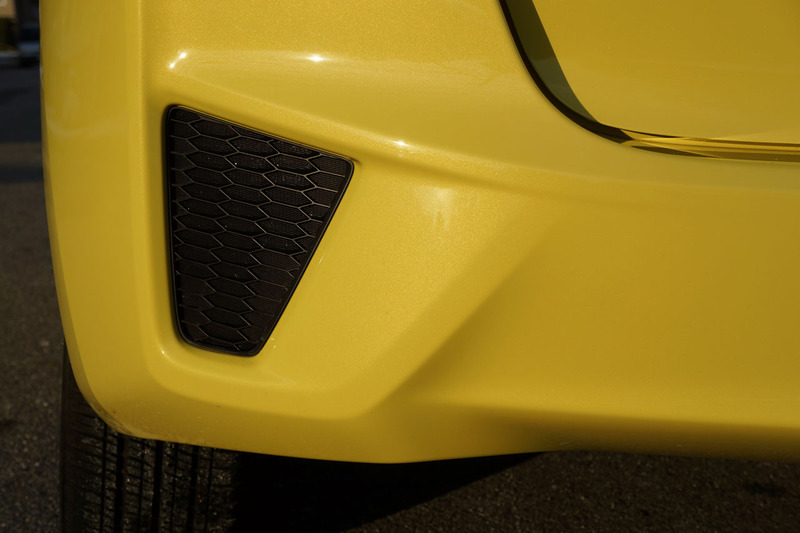 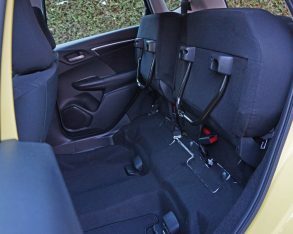 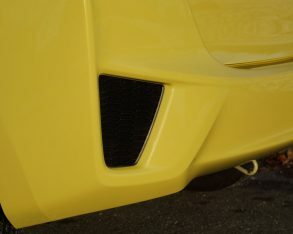 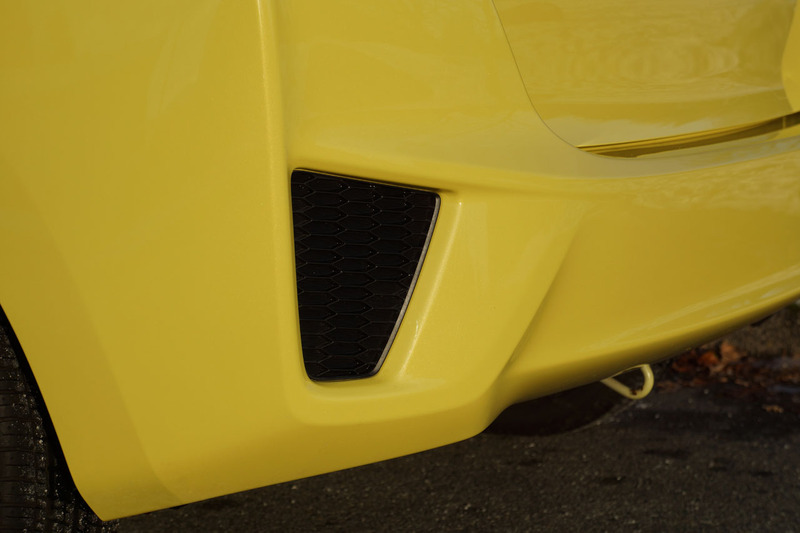 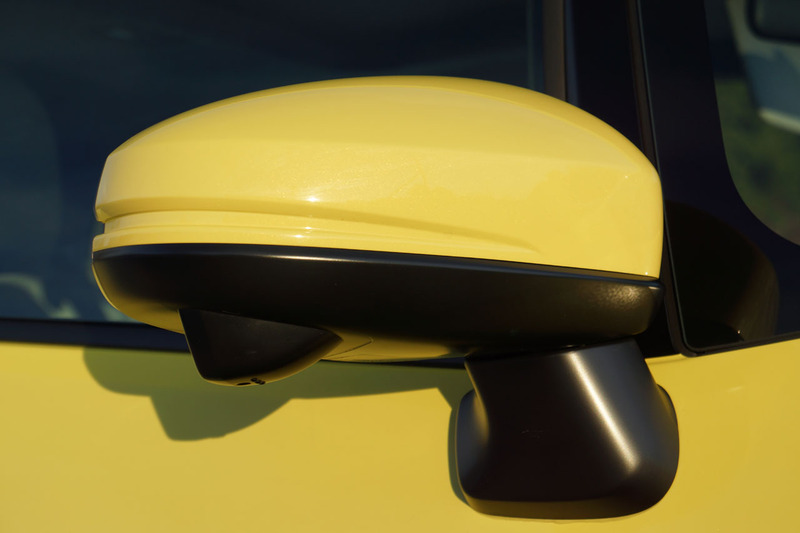 The little Fit’s revised suspension geometry still uses MacPherson struts and a torsion beam setup in back, the latter to maximize interior space while minimizing cost, yet feels more agile when pushed hard through corners, yet its ride remains comfortable over most surfaces. 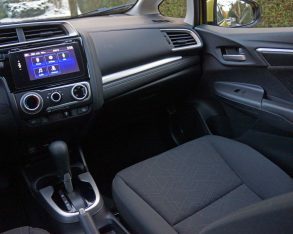 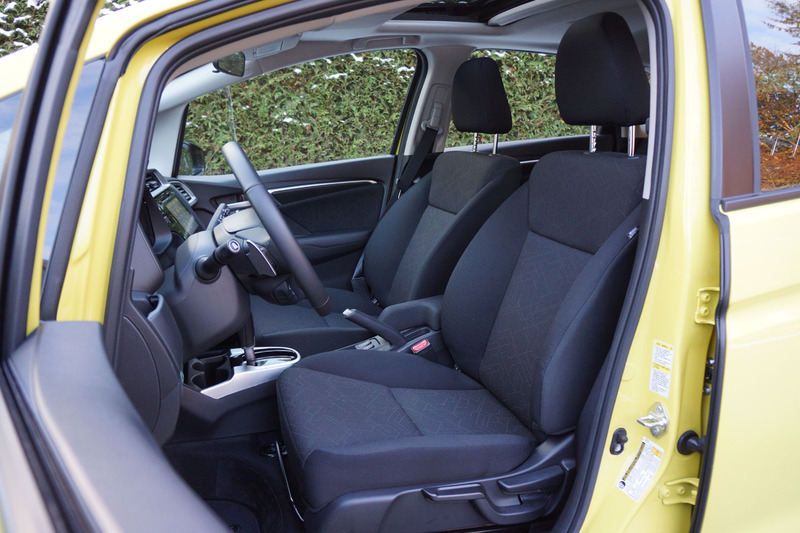 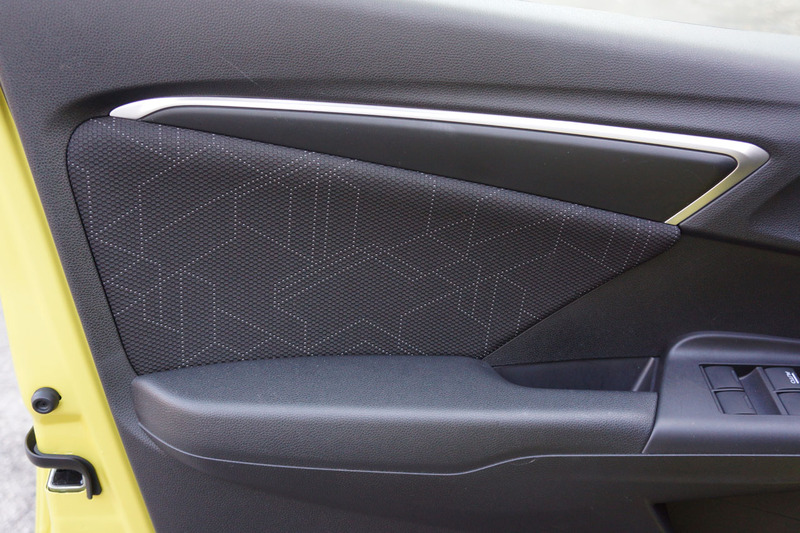 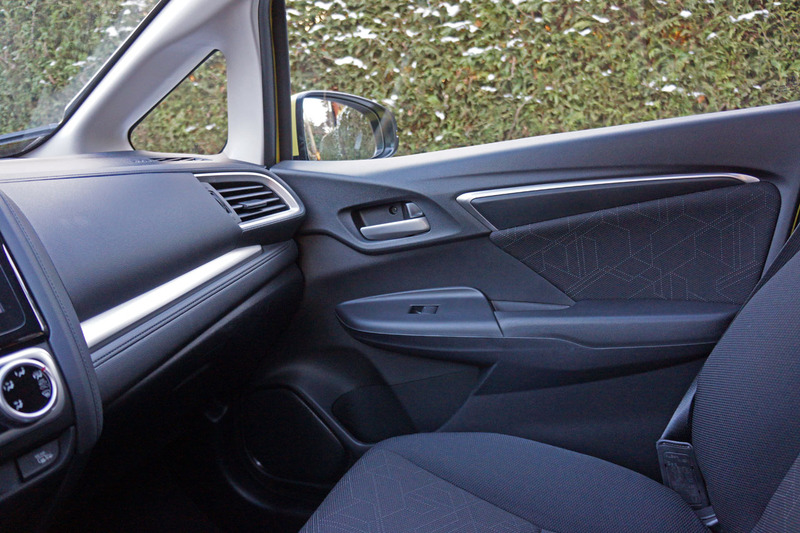 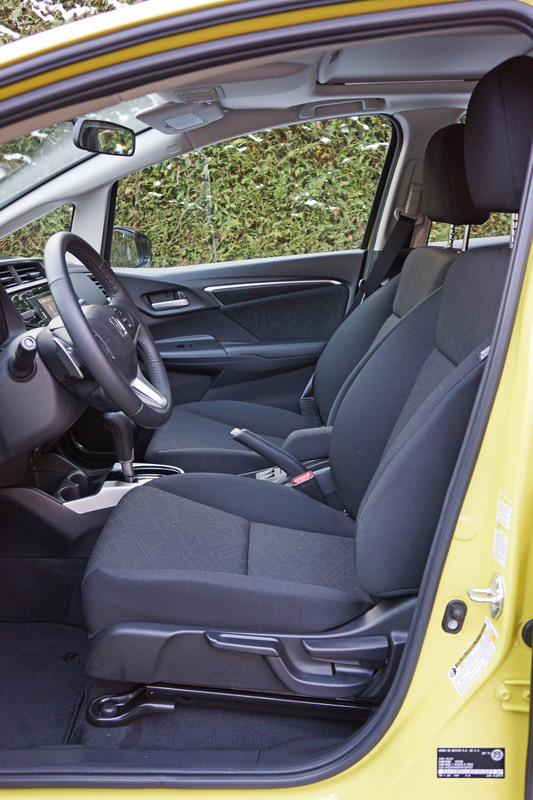 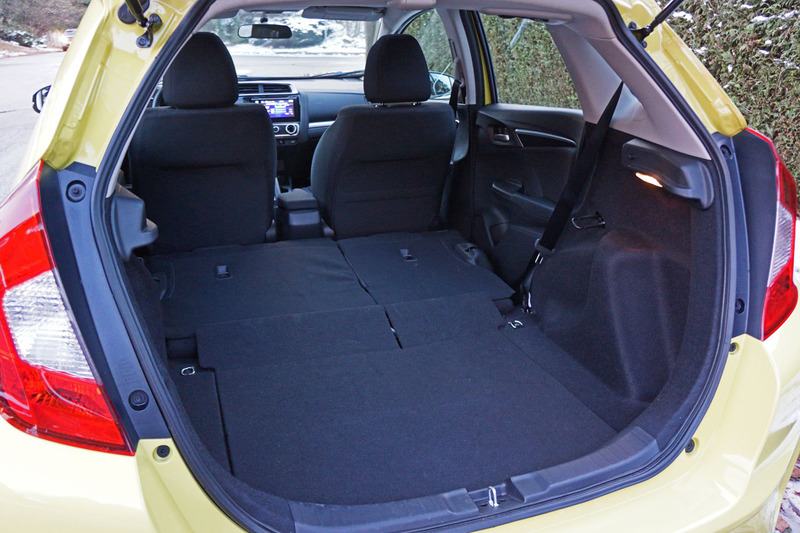 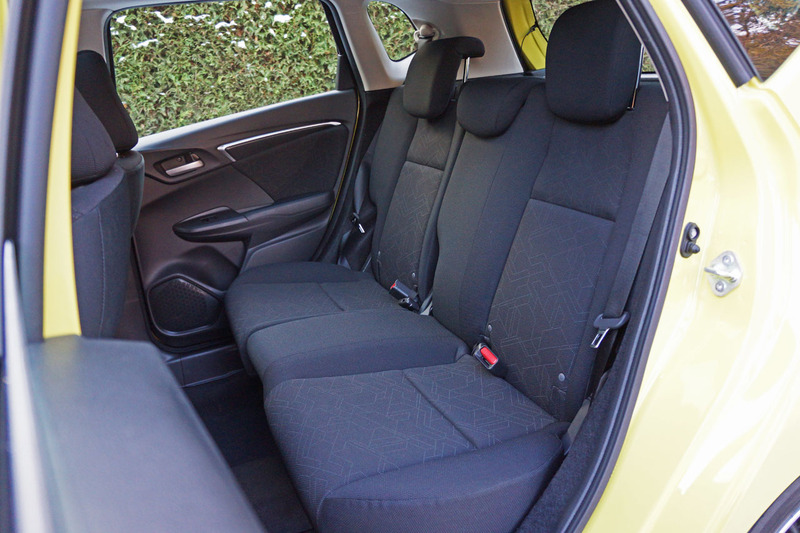 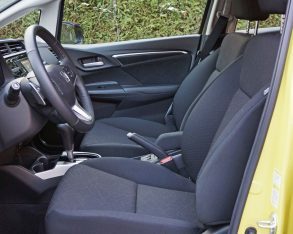 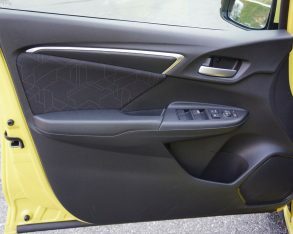 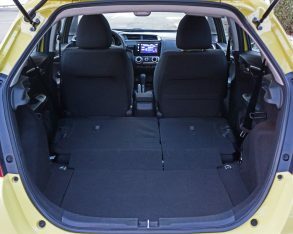 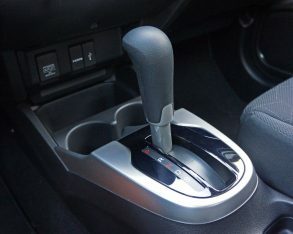 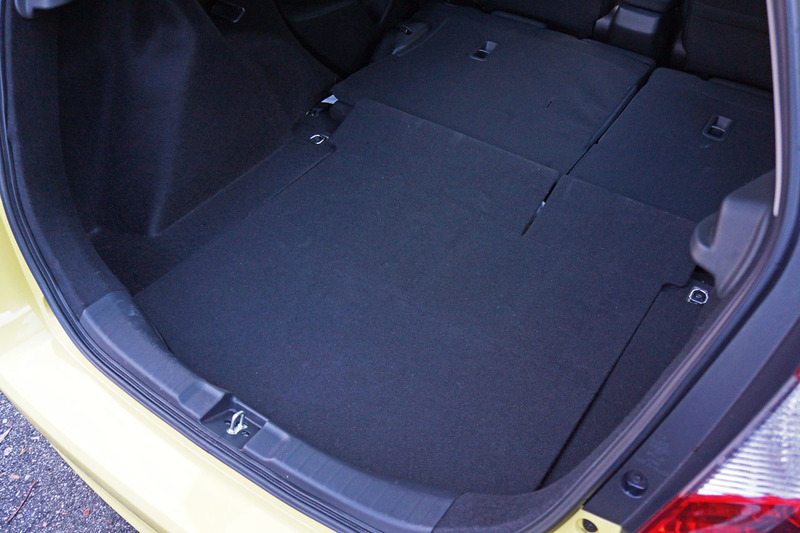 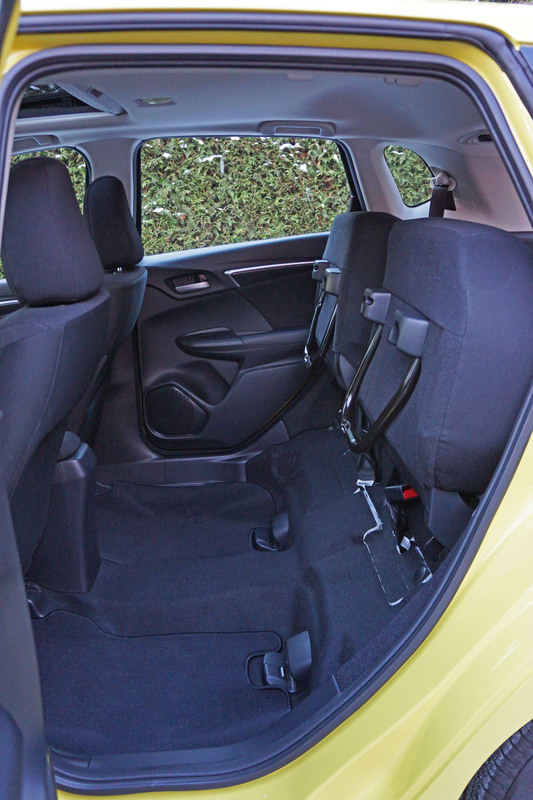 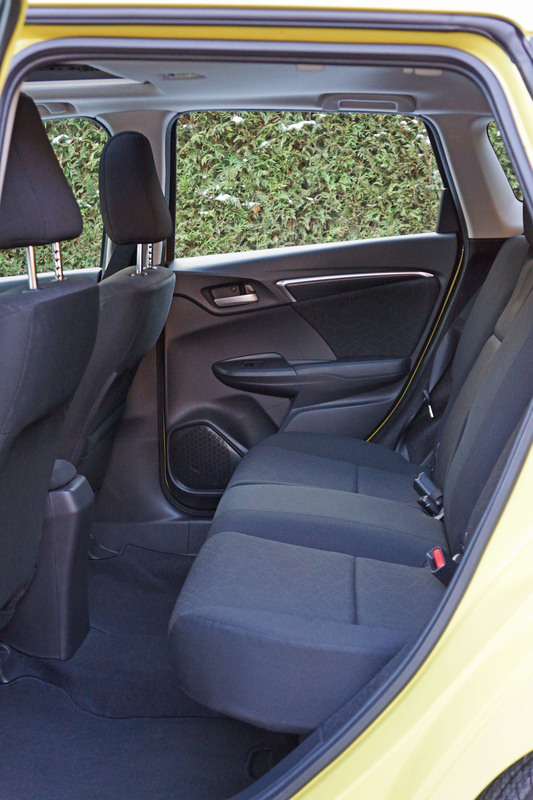 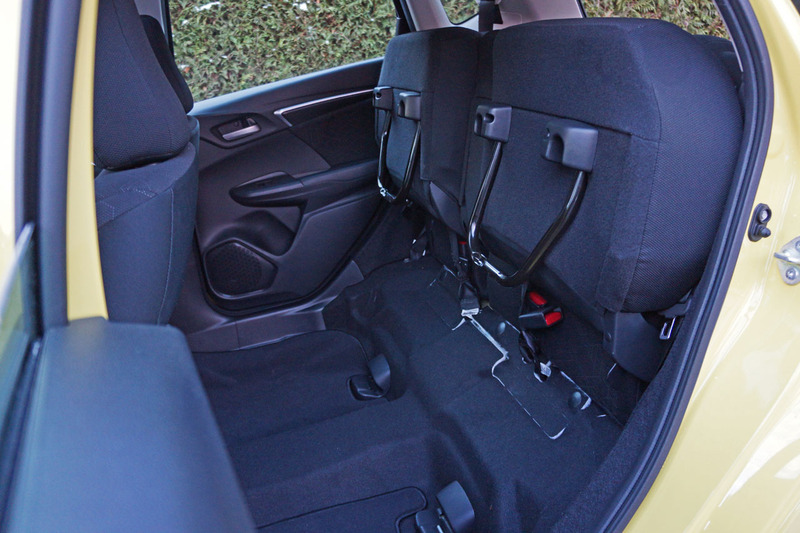 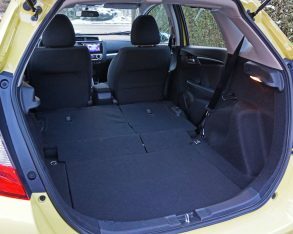 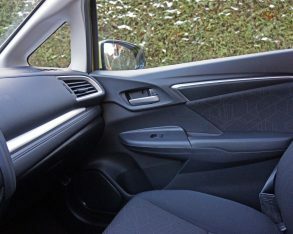 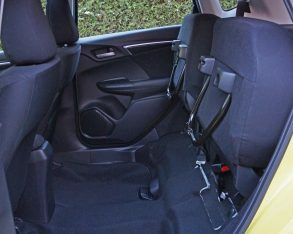 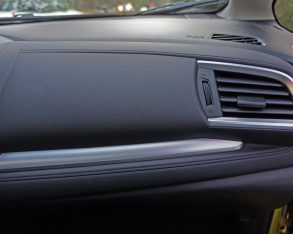 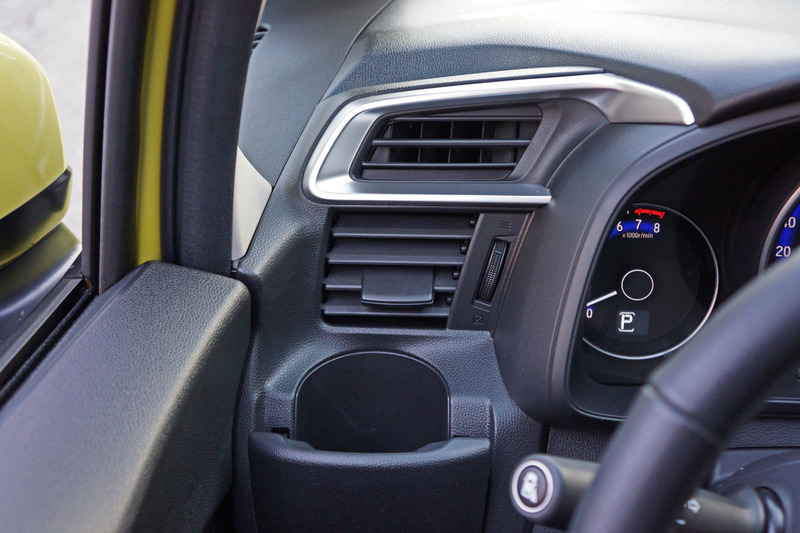 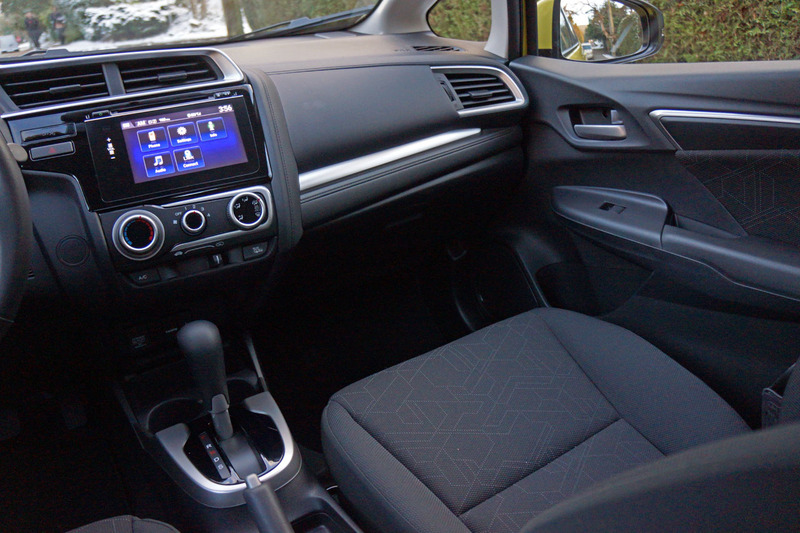 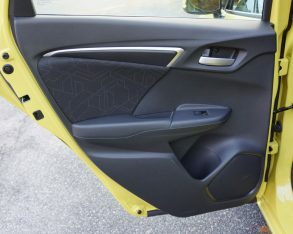 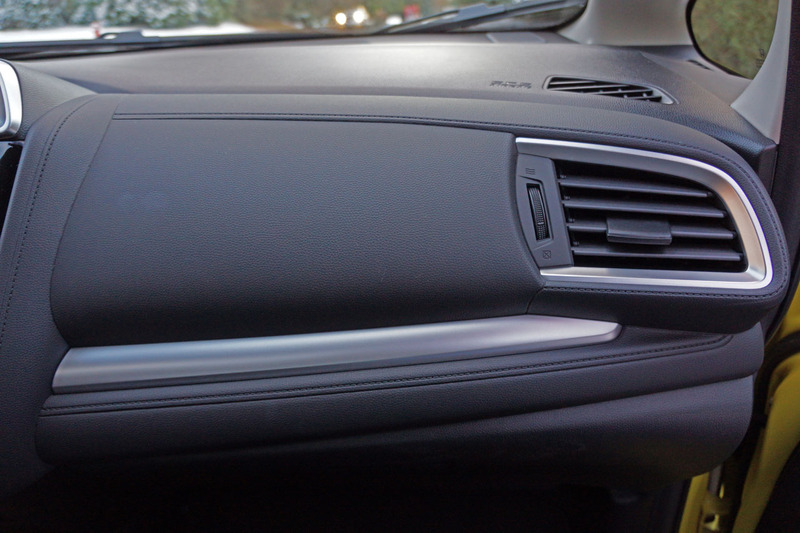 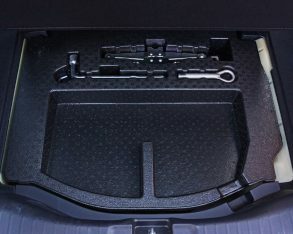 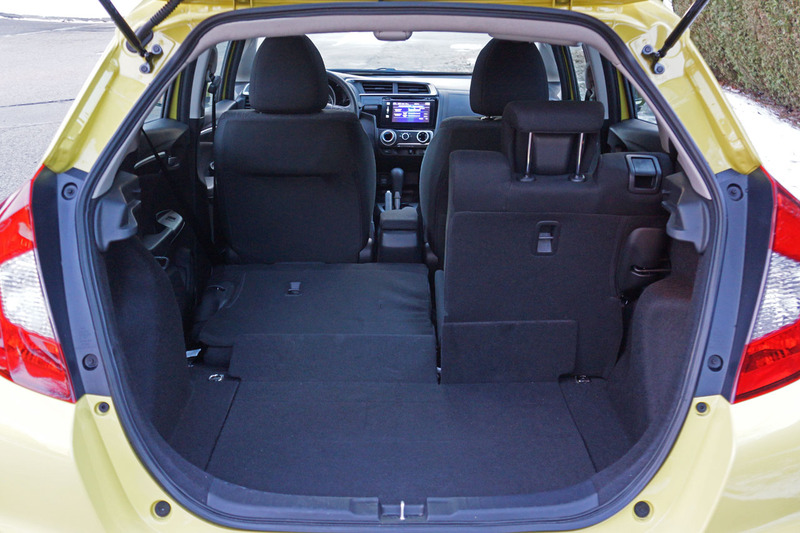 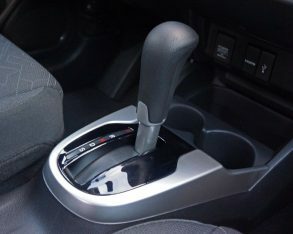 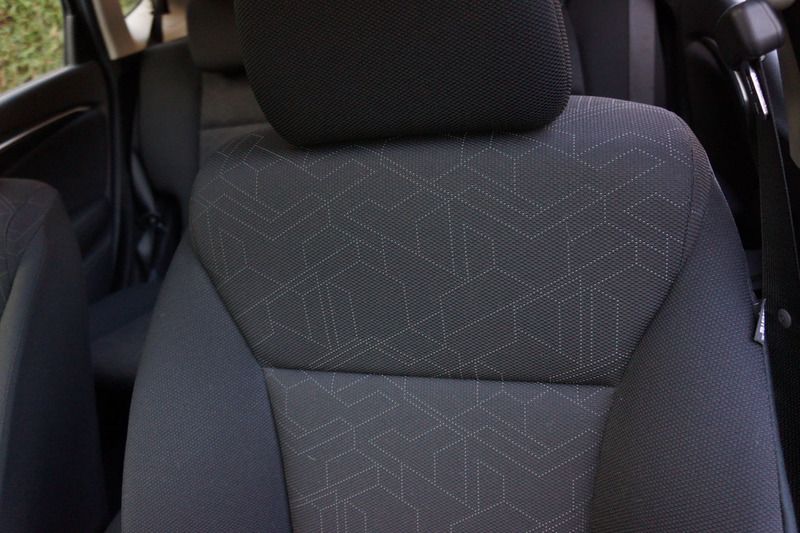 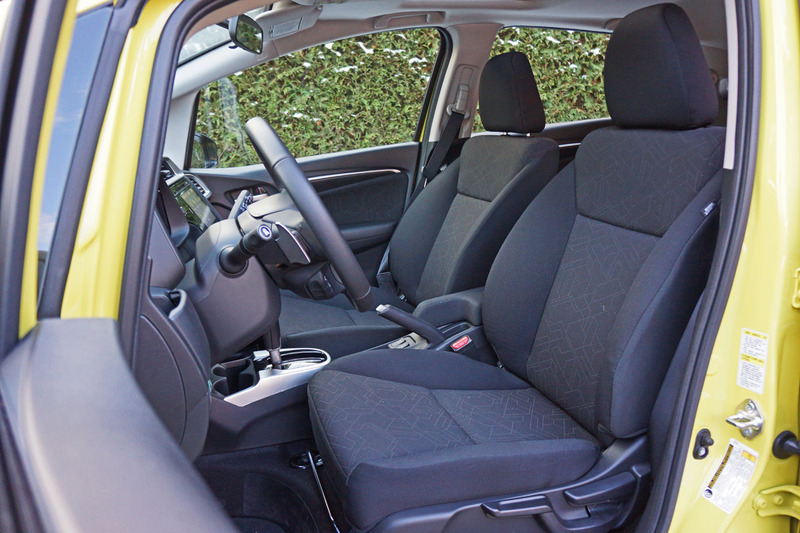 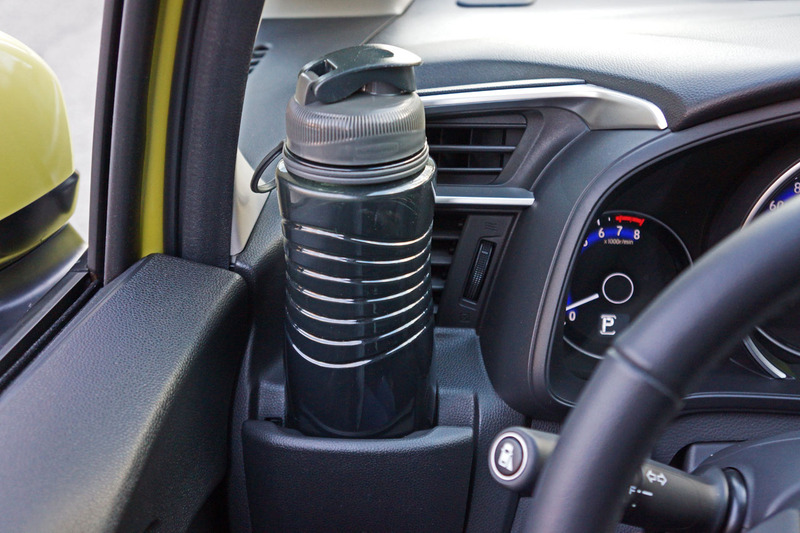 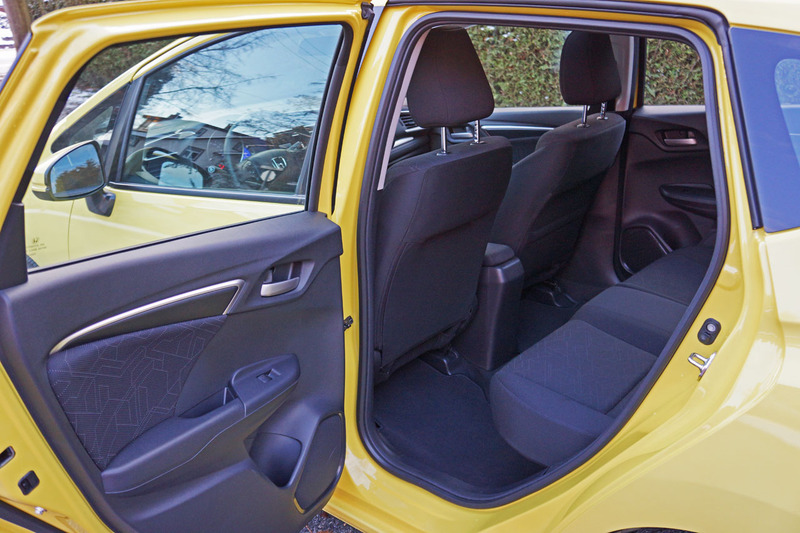 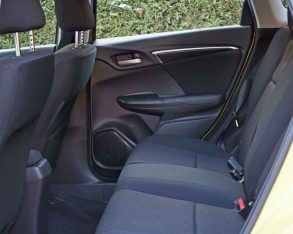 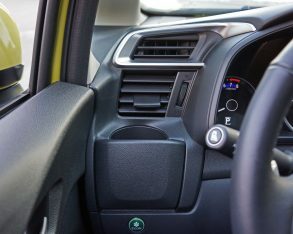 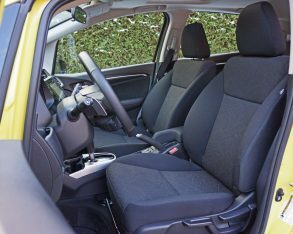 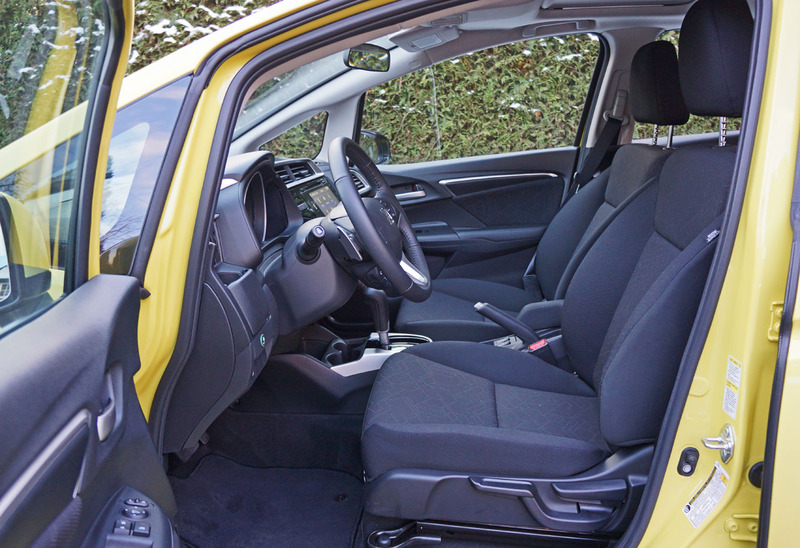 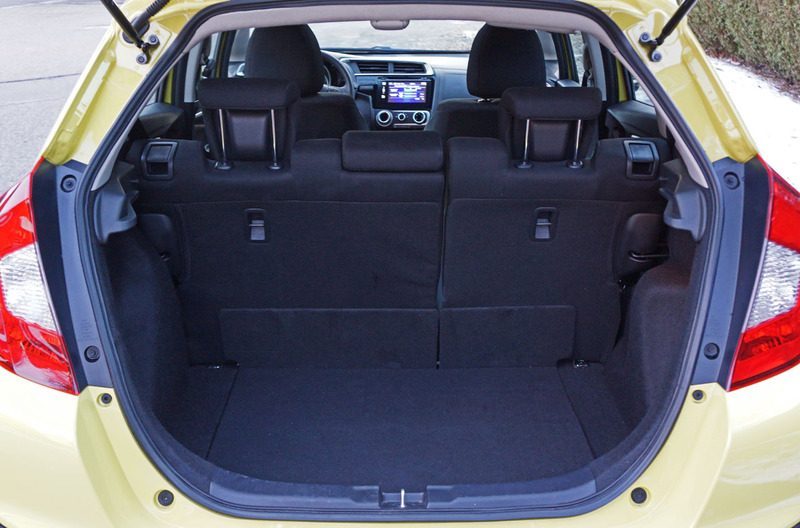 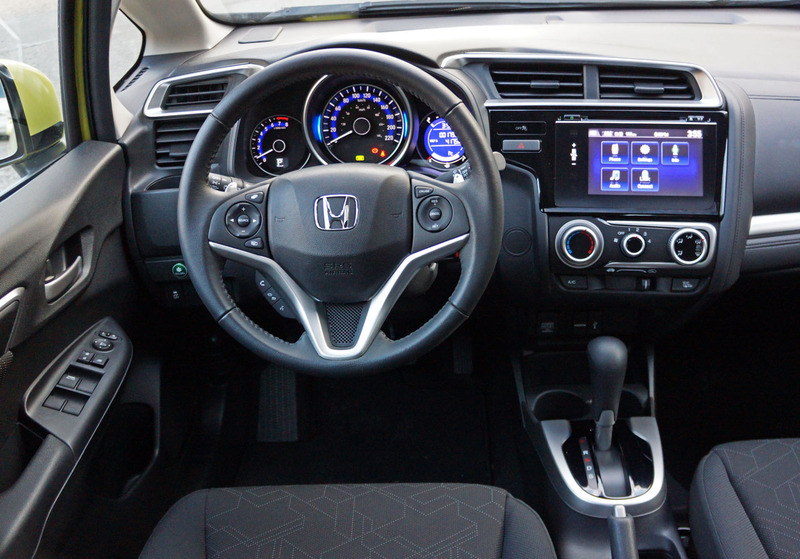 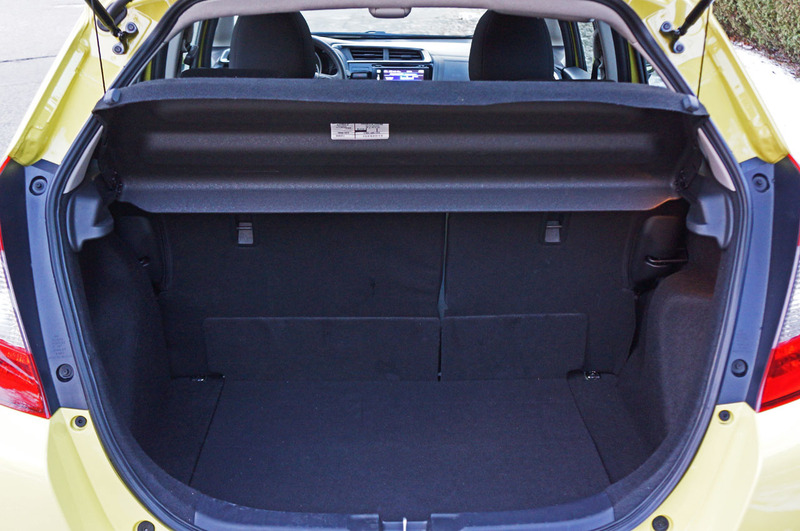 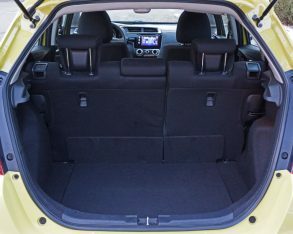 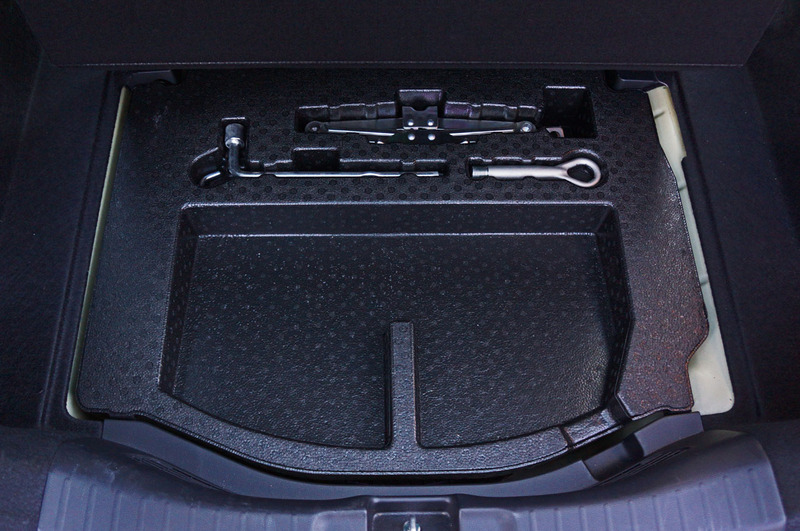 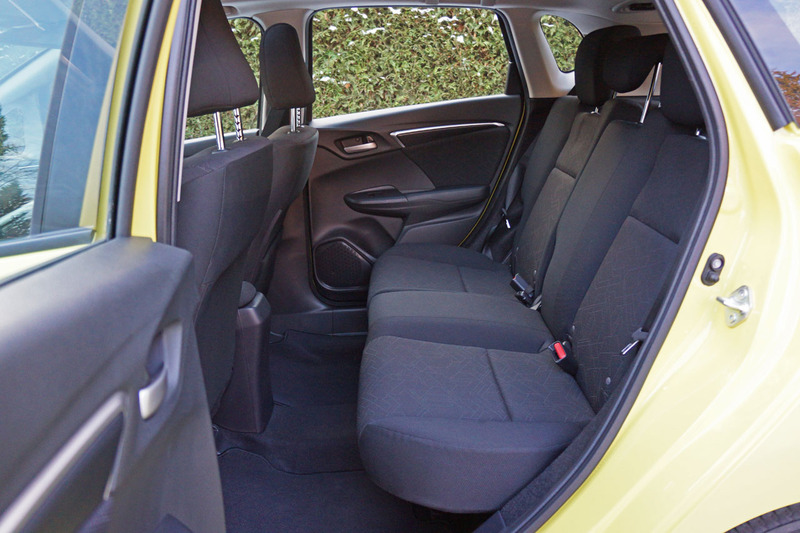 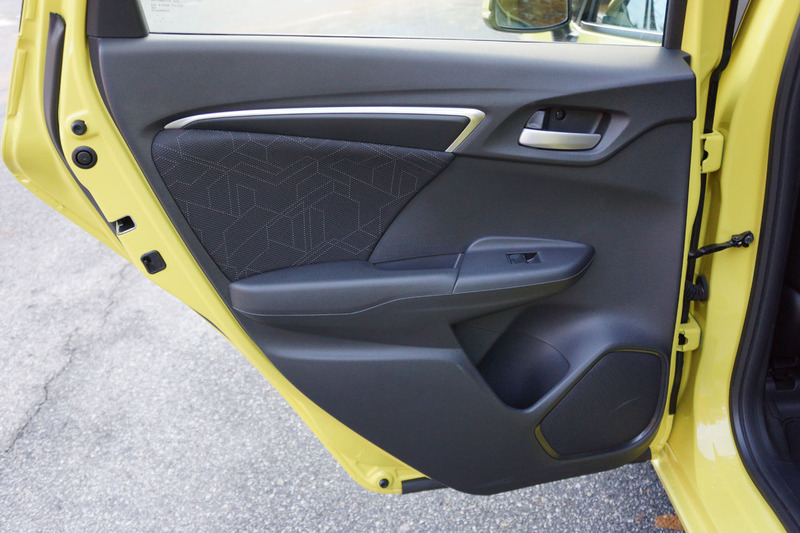 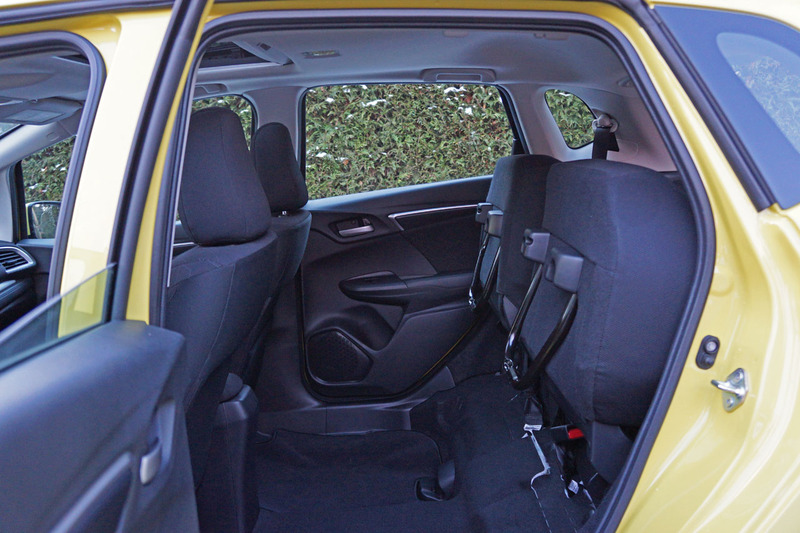 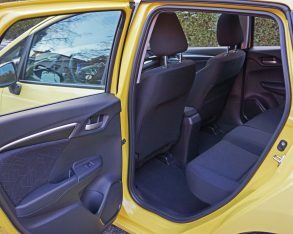 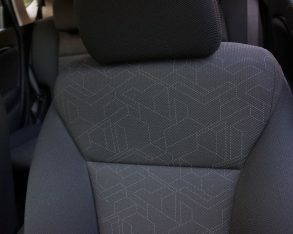 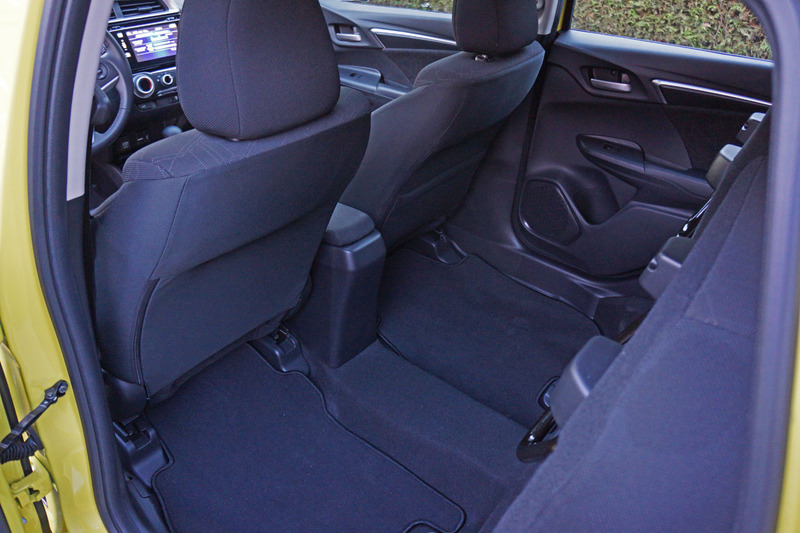 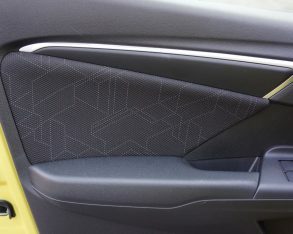 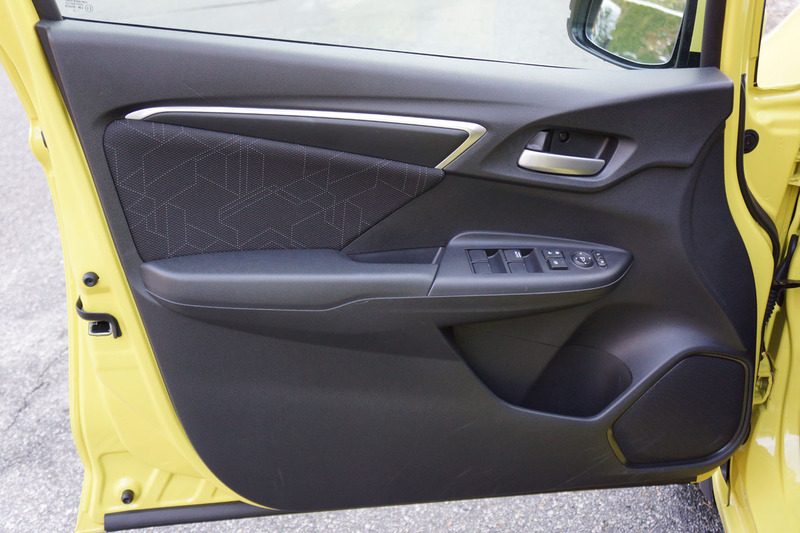 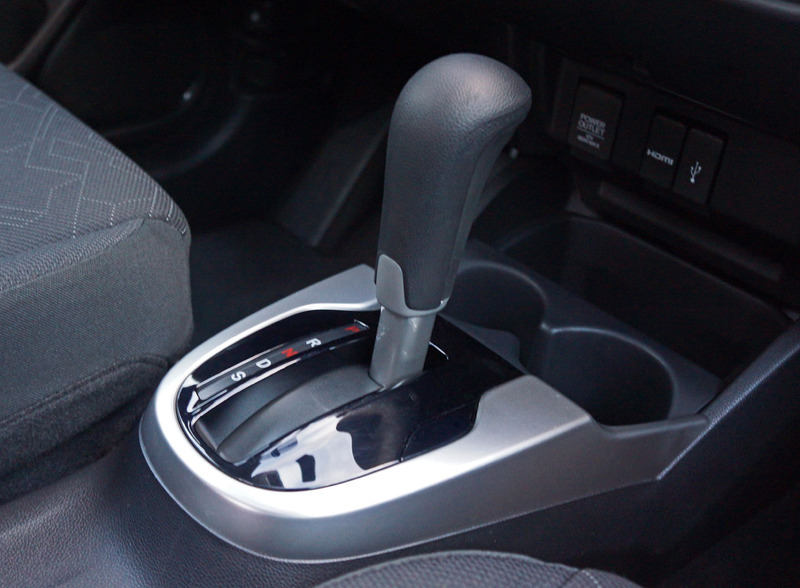 aspect of the new Fit’s interior. 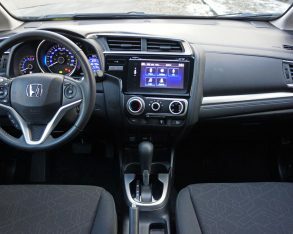 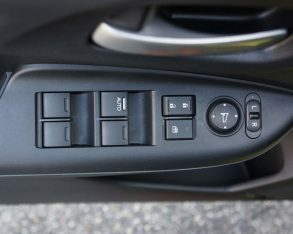 It remains one of the best in its class, devoid of soft-touch surfaces except for a nice padded plastic inset with faux stitching ahead of the front passenger, but nevertheless attractive satin silver trim abounds, edging the primary gauges, accenting the steering wheel and paddle shifters, brightening the dash trim and air vents, highlighting the HVAC controls and panel, surrounding the shifter faceplate, enhancing the door panel trim and sprucing up the door handles. 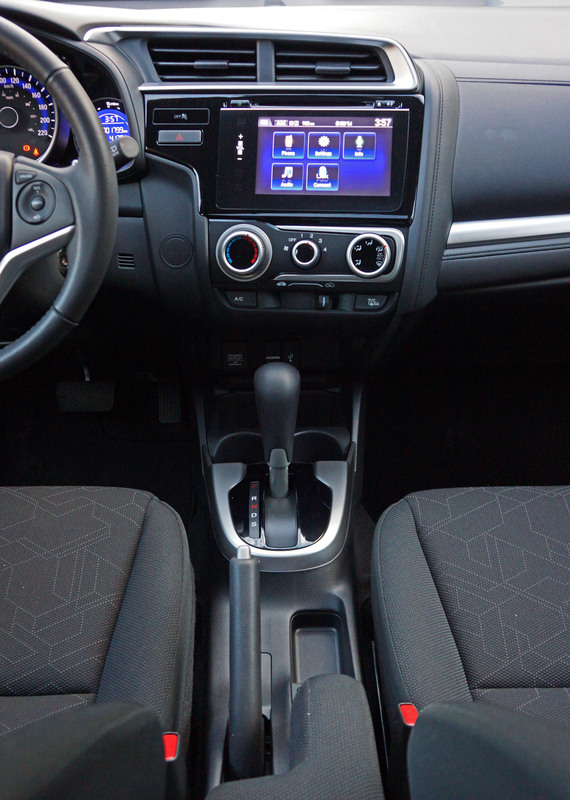 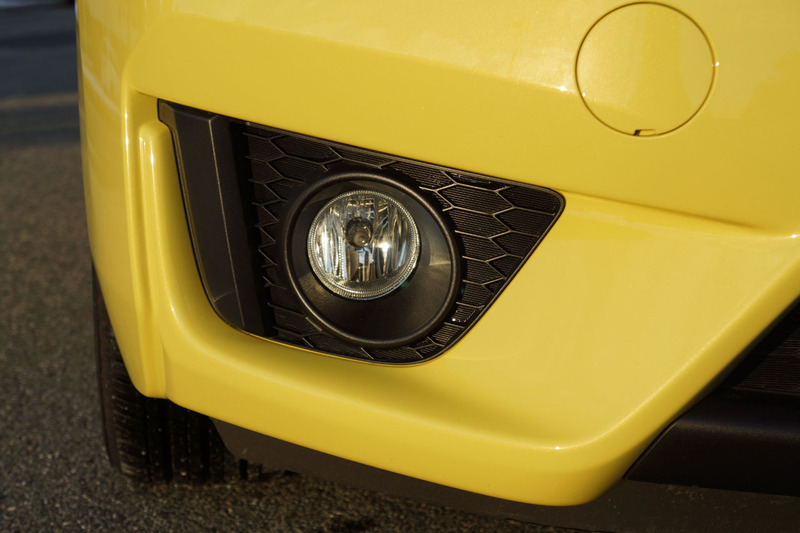 It all looks great and gives the tiny car an upscale high-tech look. 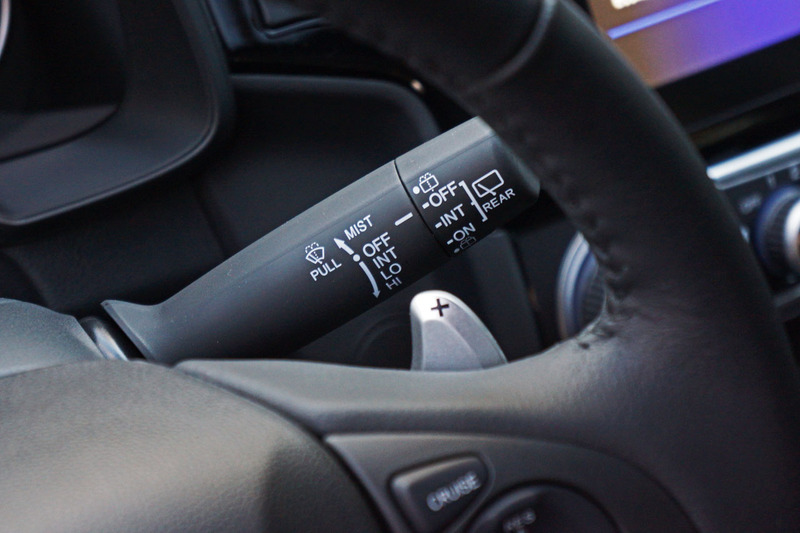 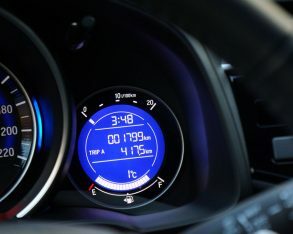 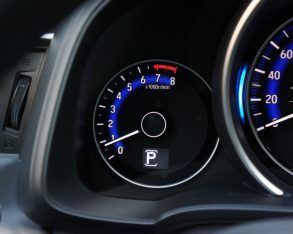 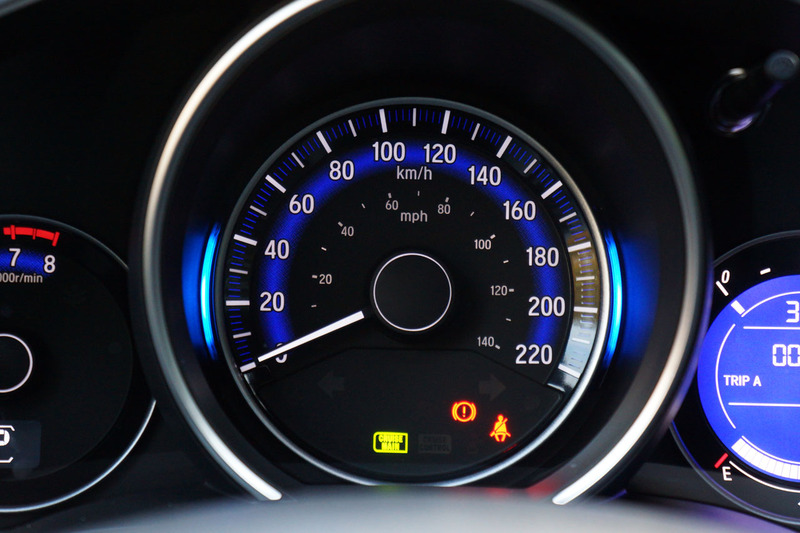 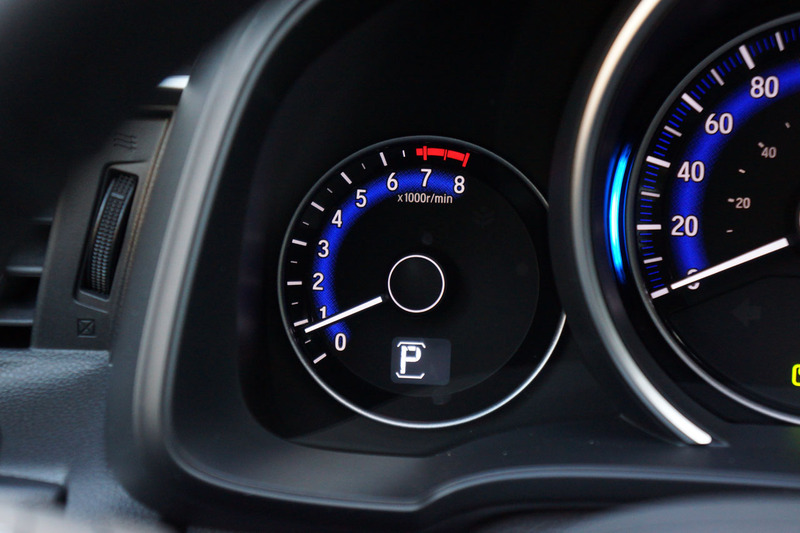 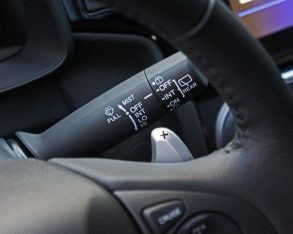 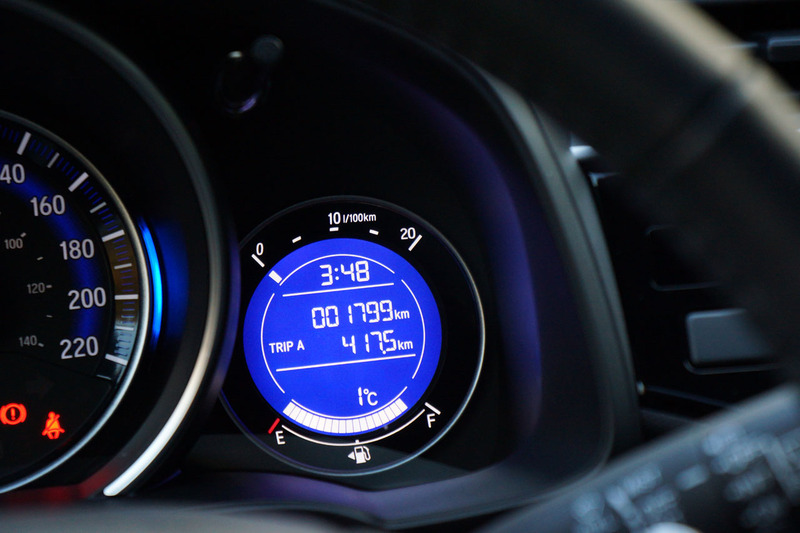 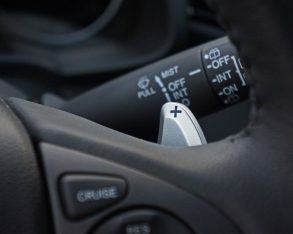 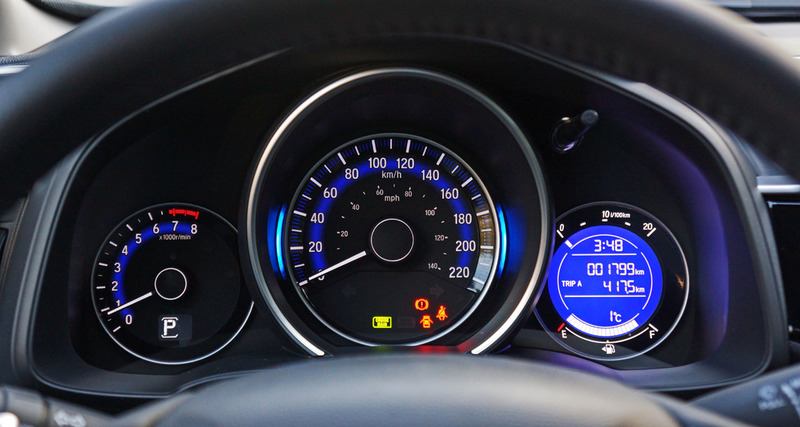 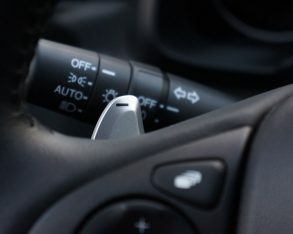 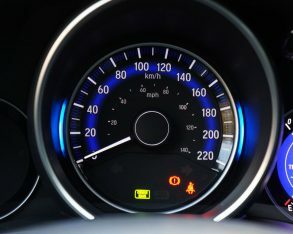 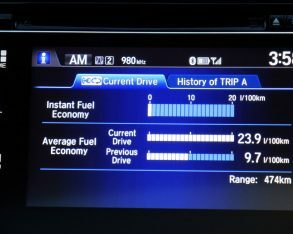 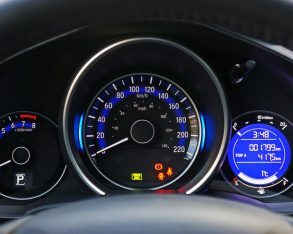 the largest, flanked by a tachometer on the left and a multi-information display on the right, the latter accessible via the steering wheel controls. 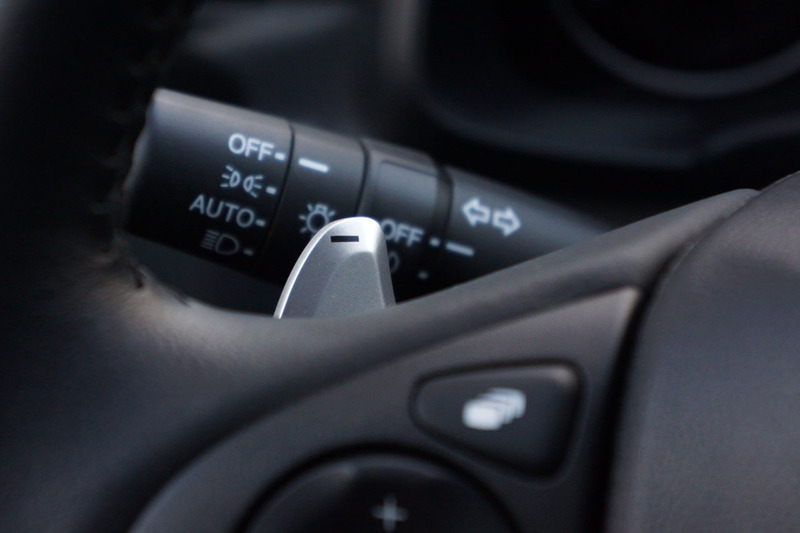 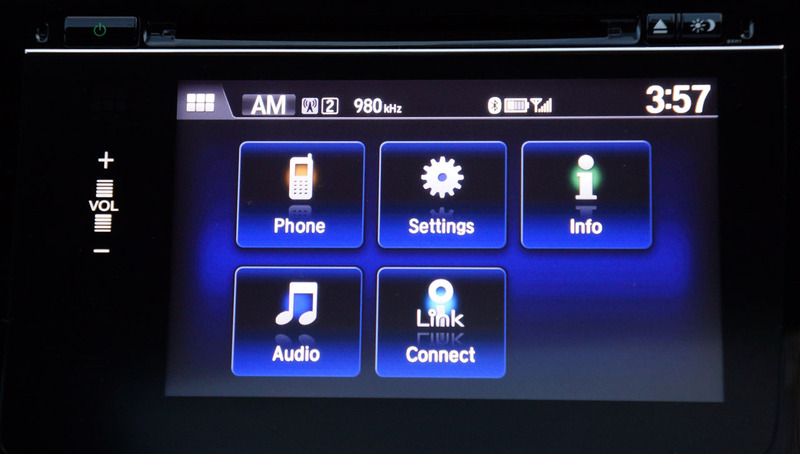 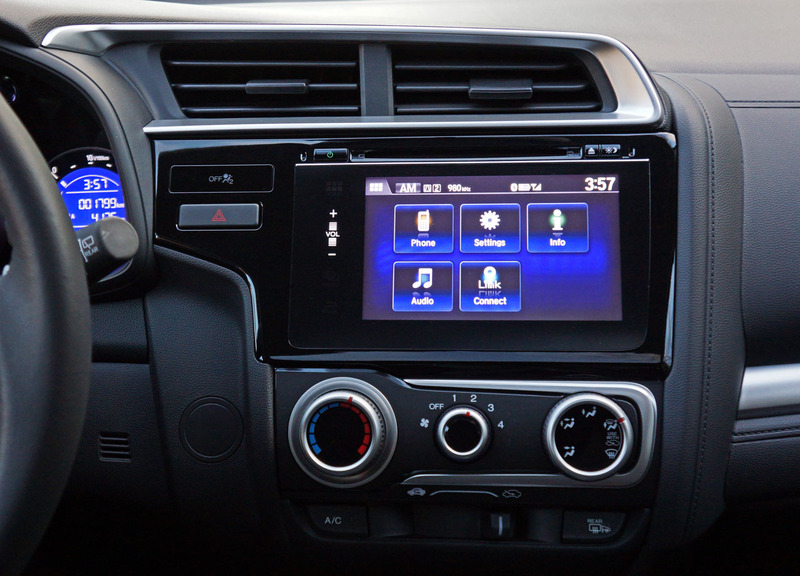 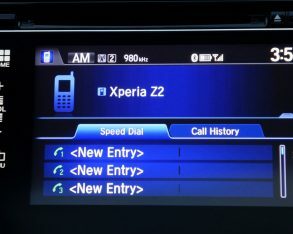 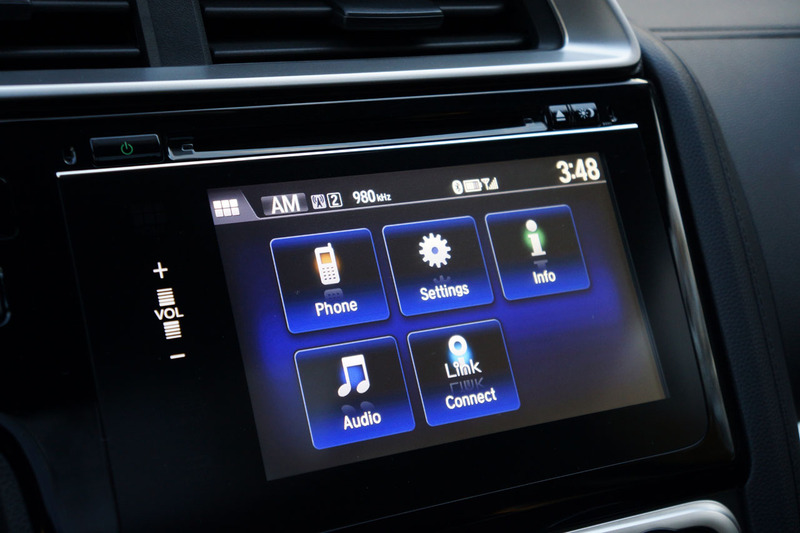 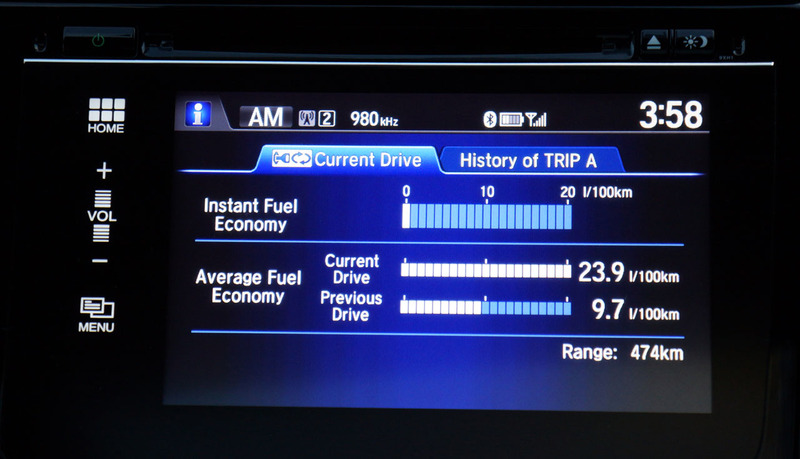 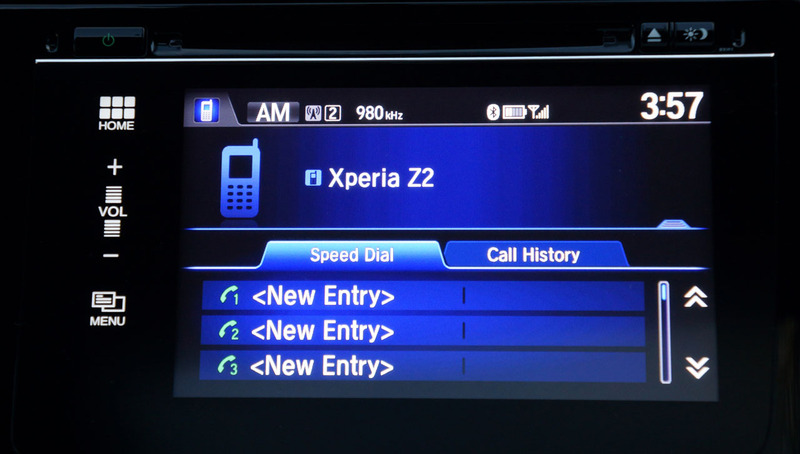 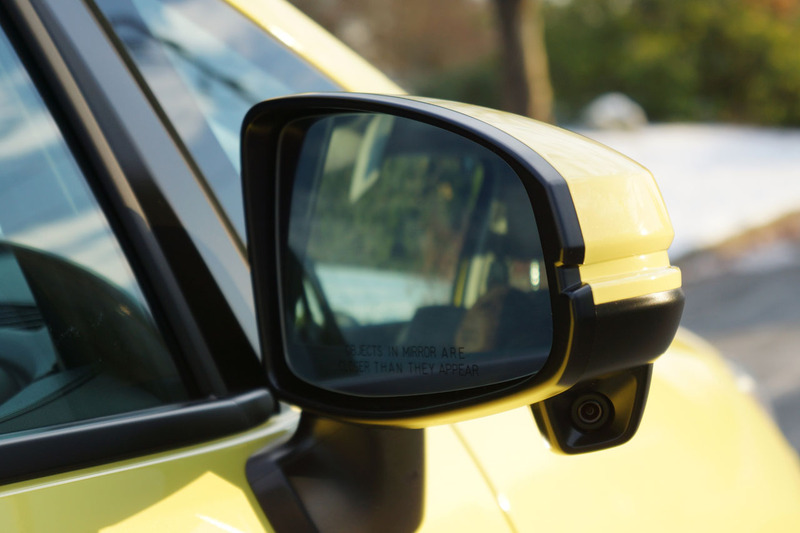 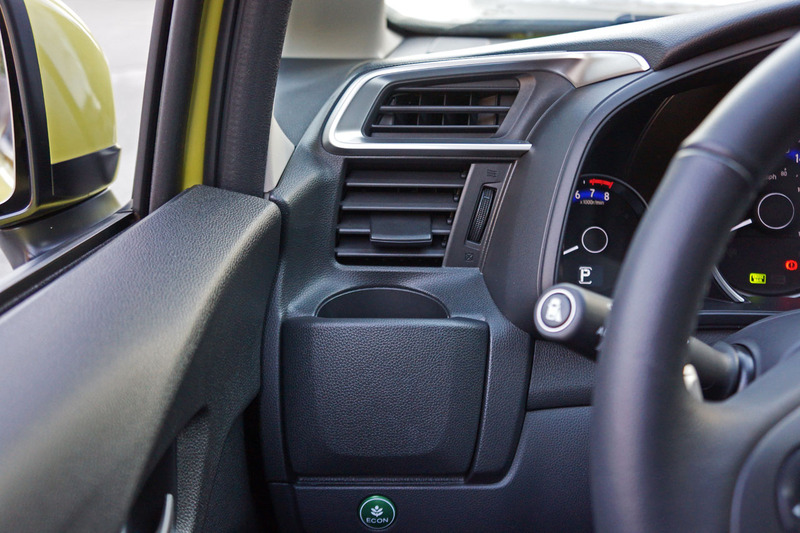 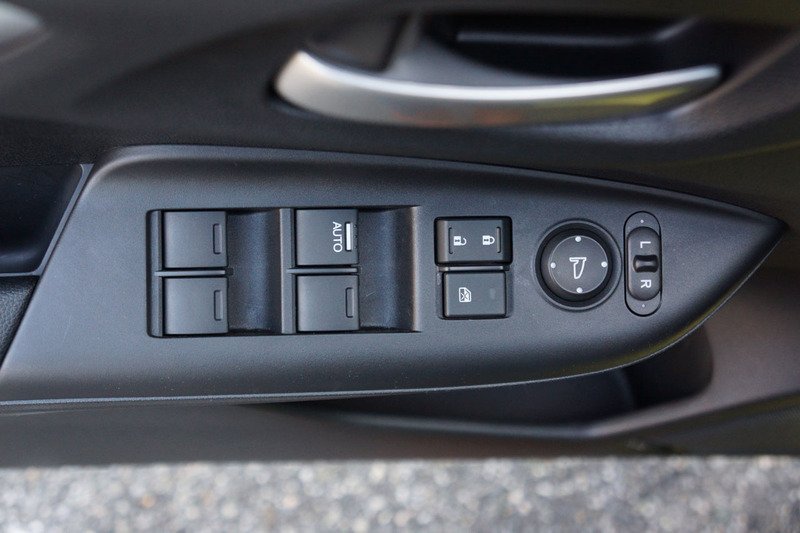 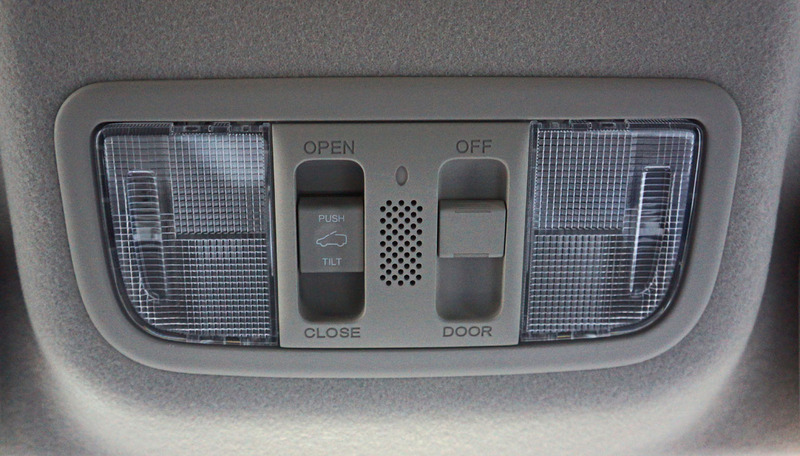 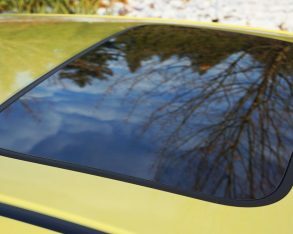 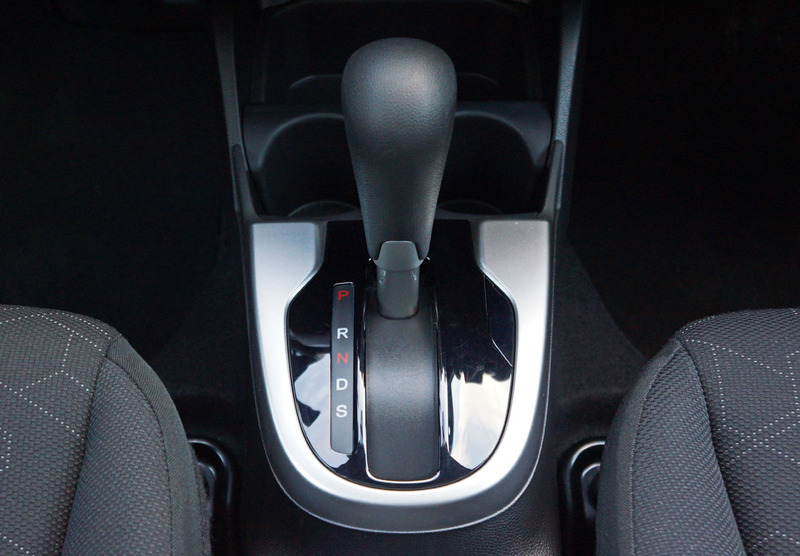 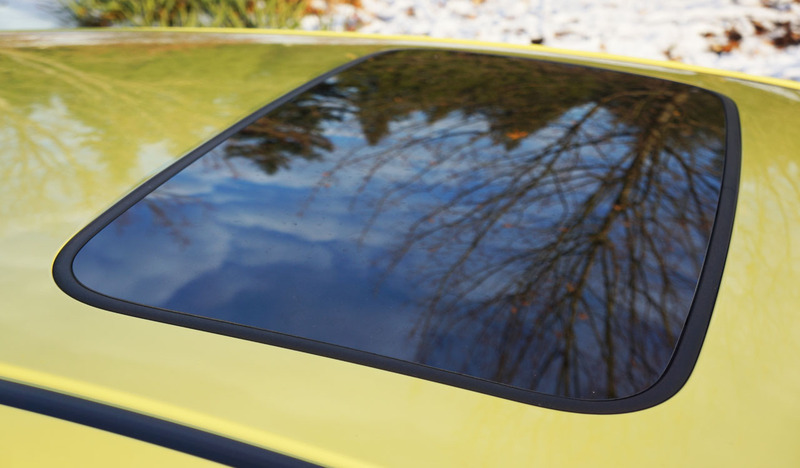 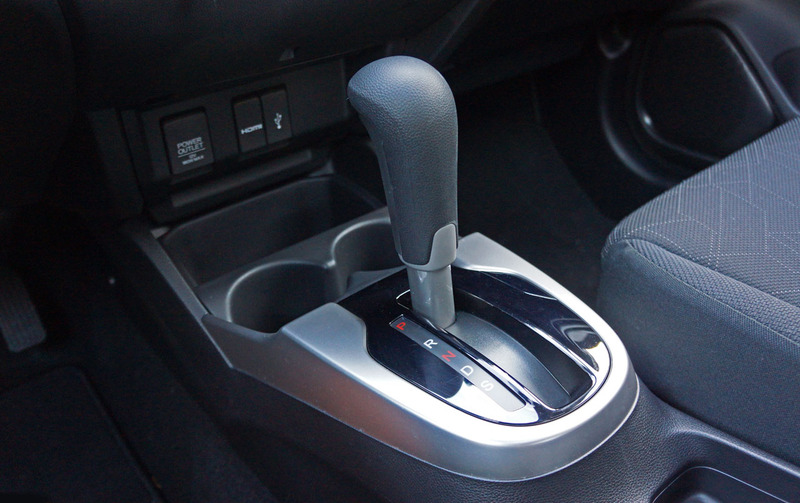 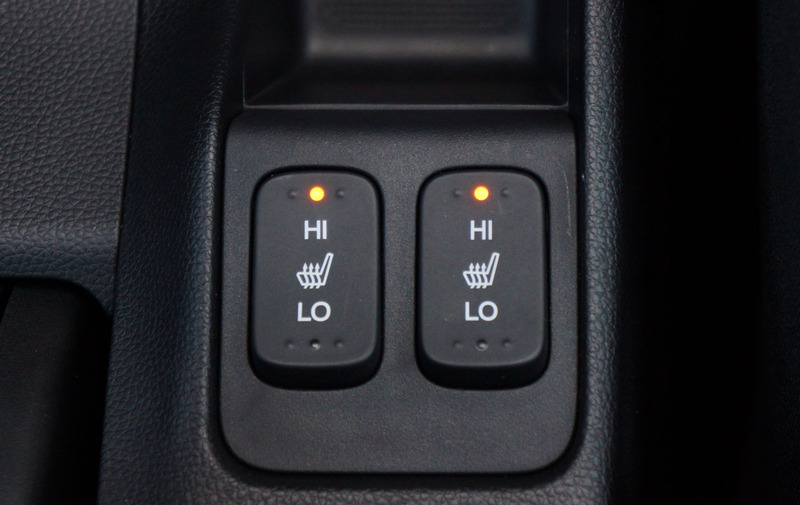 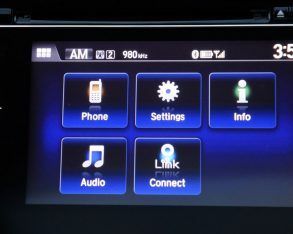 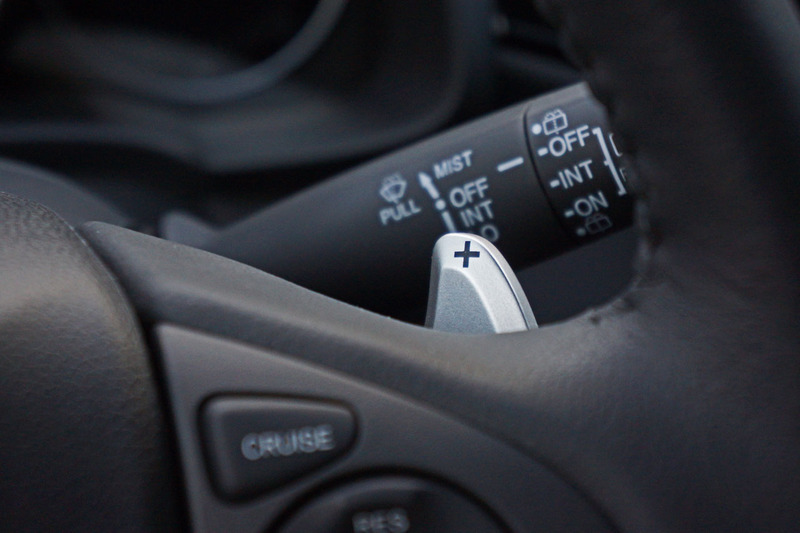 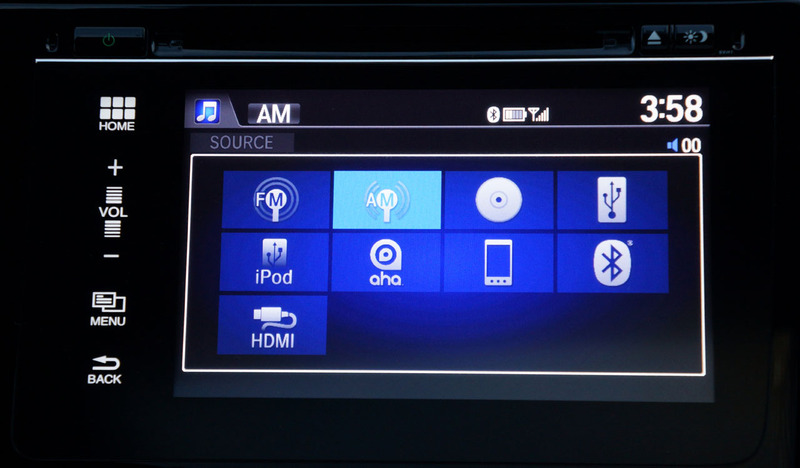 Additional controls are for audio functions, cruise, and the wireless phone. 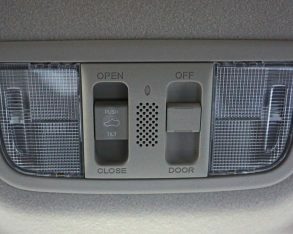 button at the very bottom. 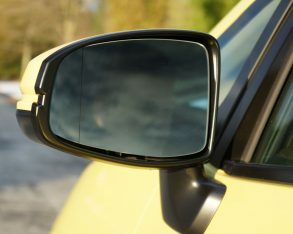 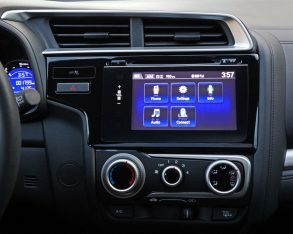 Each one opens up a secondary panel of bright and clear functions, the home button allowing access to phone, settings, info, audio and link connect, which take you through to additional panels of features such as fuel efficiency data within the info tab, the usual AM/FM/CD and USB functions under the audio tab, although iPod, Aha, and Bluetooth streaming audio capability can also be found, not to mention HDMI connectivity. 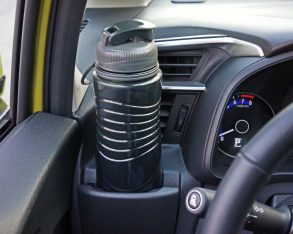 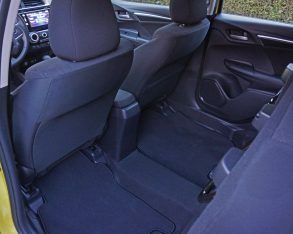 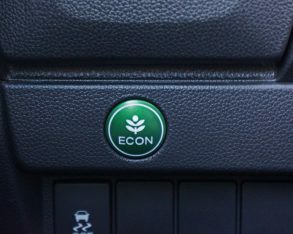 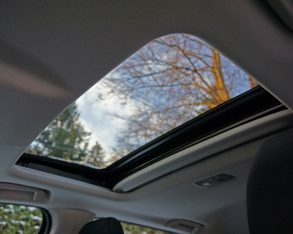 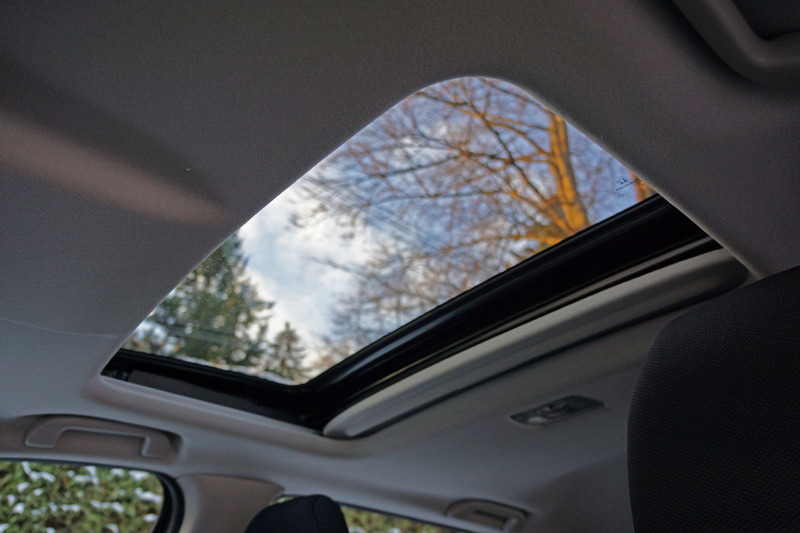 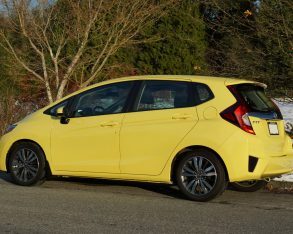 It’s a cool system that’s fairly easy to get used to, and most importantly is an entire level above most anything else offered in the subcompact category. 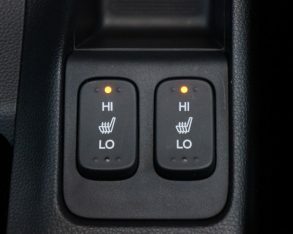 large, ideal for using with gloves during winter, and there’s a nice quality feel to them. 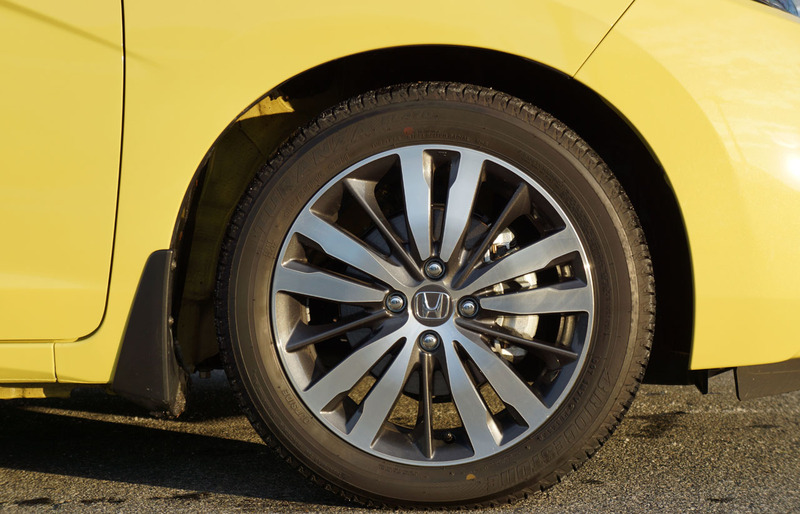 At first glance they look as if they’re encircled in a rubberized material yet that’s not the case. 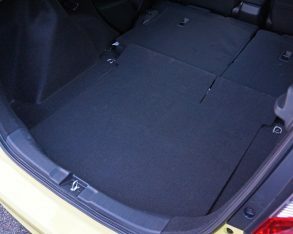 Still the plastic is grippy, attractive and seems well made, plus everything works as advertised. 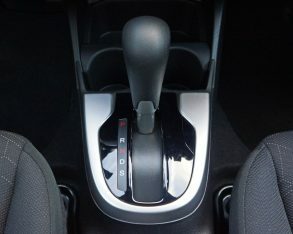 my description thus far, it’s a cut above average. 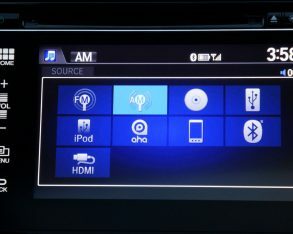 Even the base Fit DX, which starts at $14,575 plus $1,495 for freight and pre-delivery prep, features a five-inch colour LCD infotainment screen with an integrated multi-angle rearview camera, 160-watt AM/FM/CD/MP3/WMA display audio system with four speakers, Bluetooth and more, plus heated and powered side mirrors with an expanded-view driver’s mirror, remote entry with powered locks, powered windows, tilt and telescopic steering, a security system, LED brake lights, hill start assist, four-wheel ABS with electronic brake-force distribution and emergency brake assist, vehicle stability assist with traction control, Honda’s Advanced Compatibility Engineering (ACE) II body structure and the usual assortment of airbags. 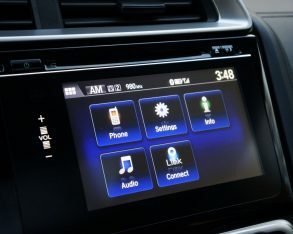 $17,375 LX makes the CVT available for a $1,300 charge yet comes standard with an upgraded display audio system featuring HondaLink Next Generation capability and two USB device connectors, an auto-up/down driver’s window, steering wheel-mounted cruise controls, air conditioning with air-filtration, heated front seats, a centre console with an armrest and an integrated storage compartment, body-coloured mirror caps, door handles and rear spoiler, plus the HondaLink Assist automatic emergency response system. 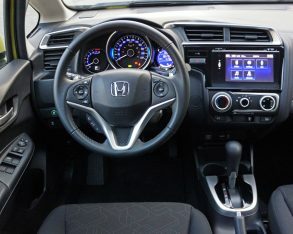 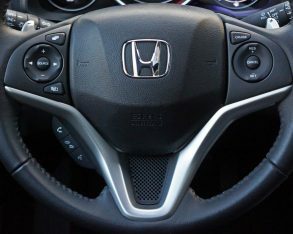 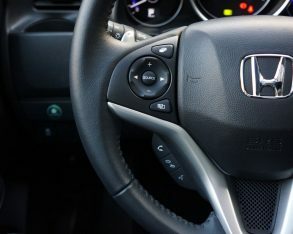 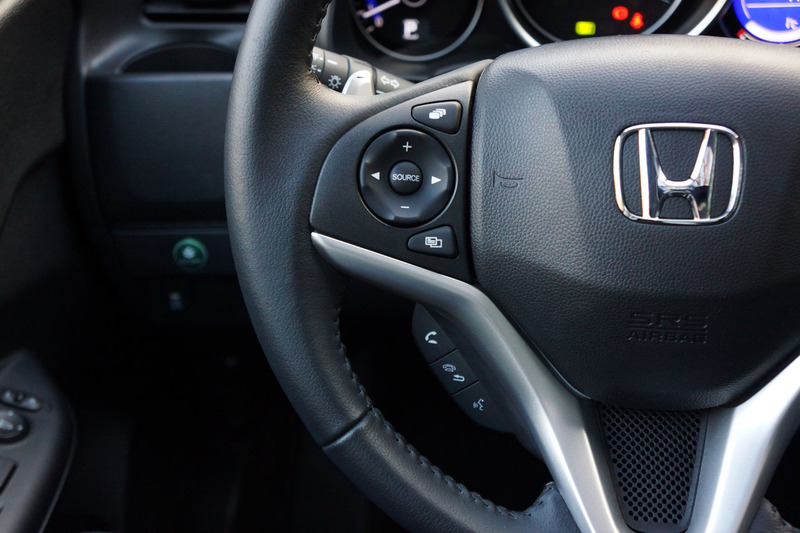 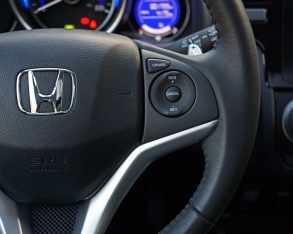 Upgrade to the $19,275 EX and added features include a leather-wrapped steering wheel, auto on/off headlights, a more powerful 180-watt, six-speaker audio system, the fabulous Honda LaneWatch blind spot display system I described earlier, a one-touch powered tilt and slide moonroof, a cargo cover, fog lights, more chrome detailing, and those sporty 16-inch alloys I mentioned earlier. 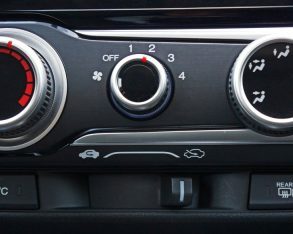 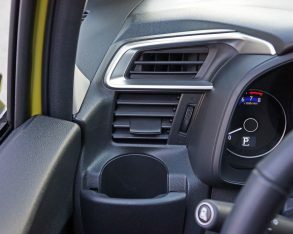 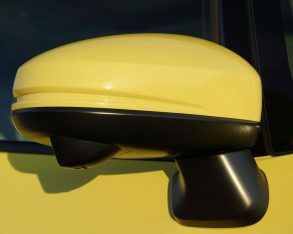 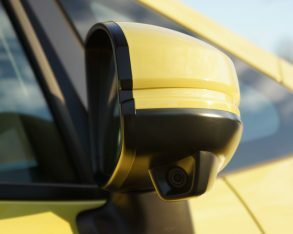 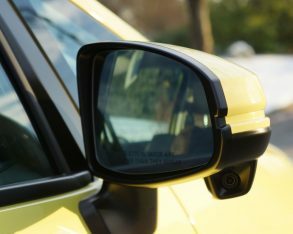 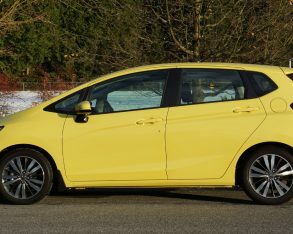 $21,375 EX-L Navi trim upgrade the Fit to include satellite-linked navigation with bilingual voice recognition, proximity-sensing remote entry with pushbutton ignition, automatic climate control, leather upholstery, satellite radio, and turn signals integrated into the side mirror caps. 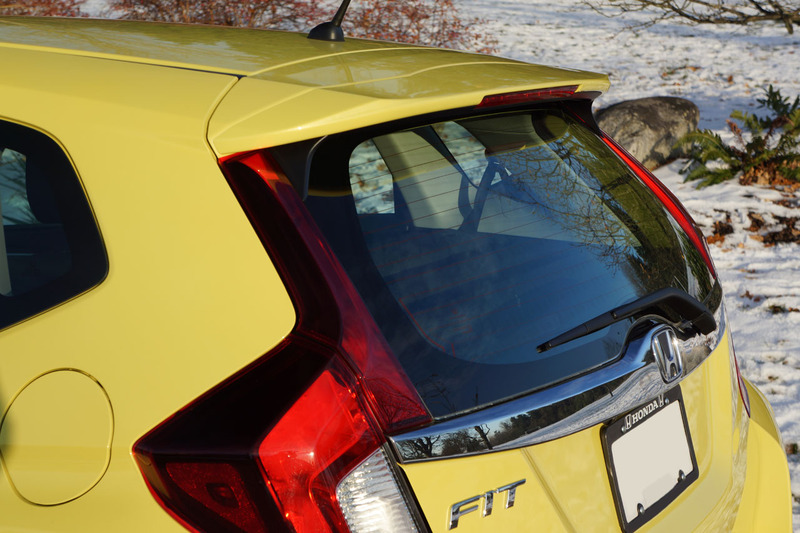 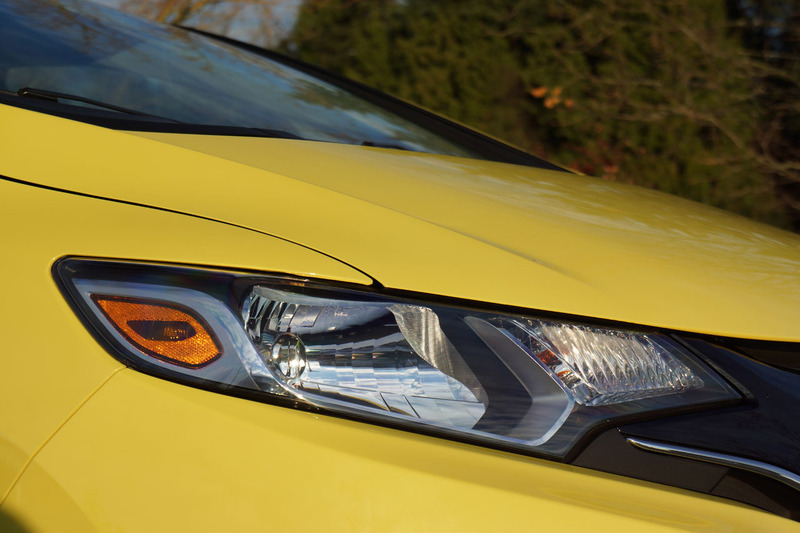 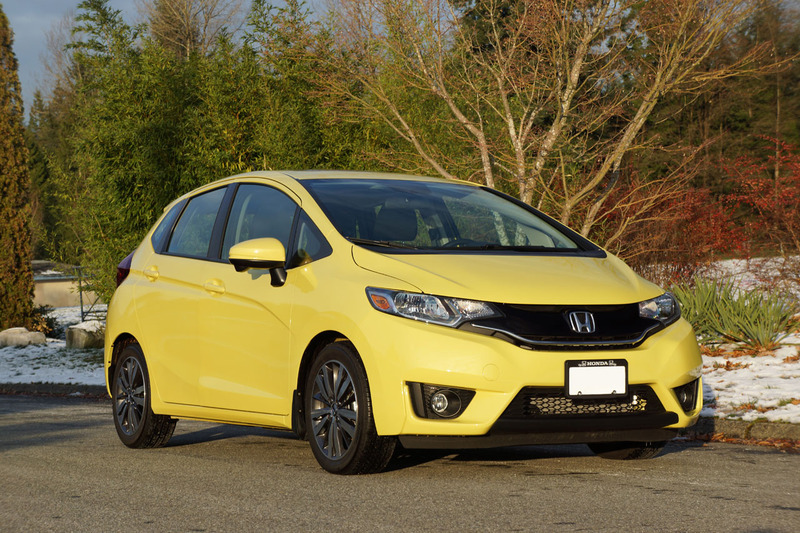 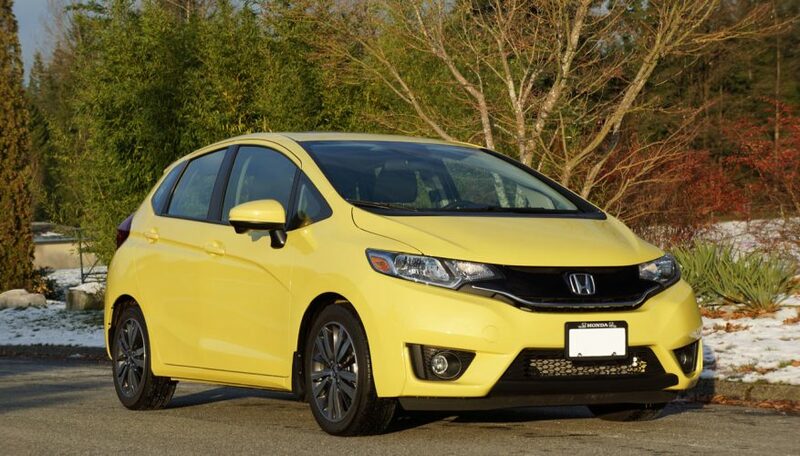 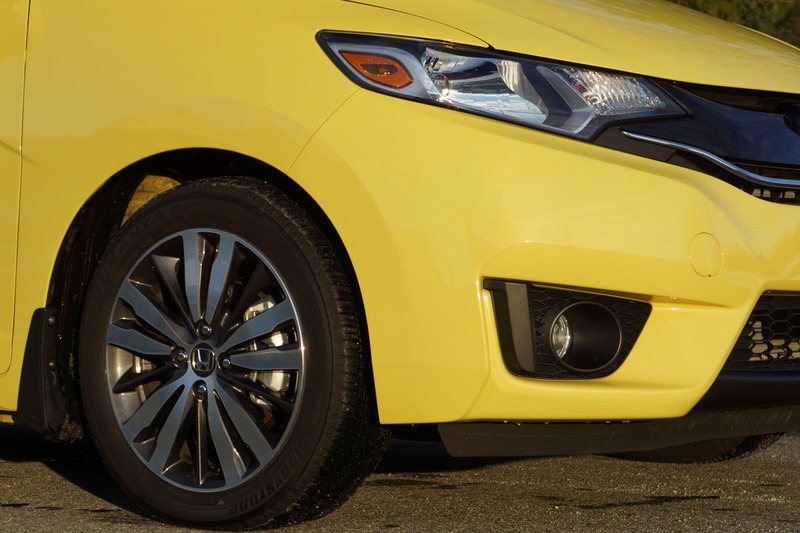 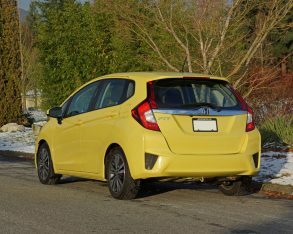 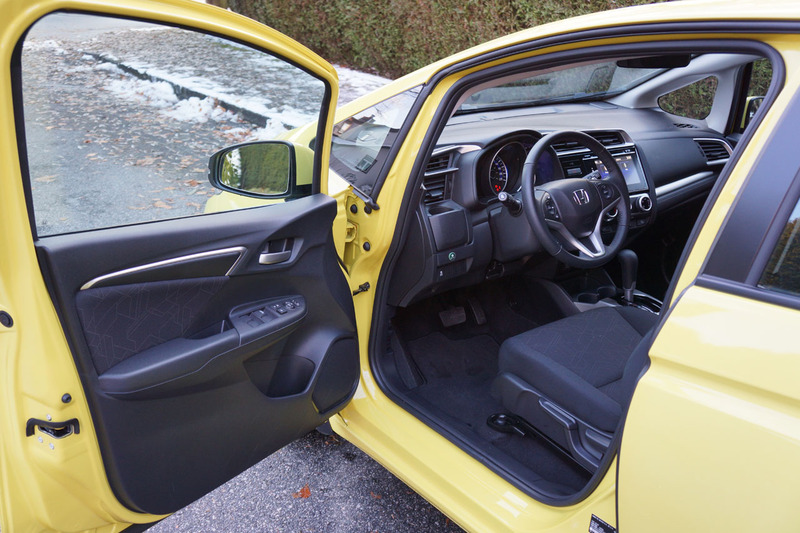 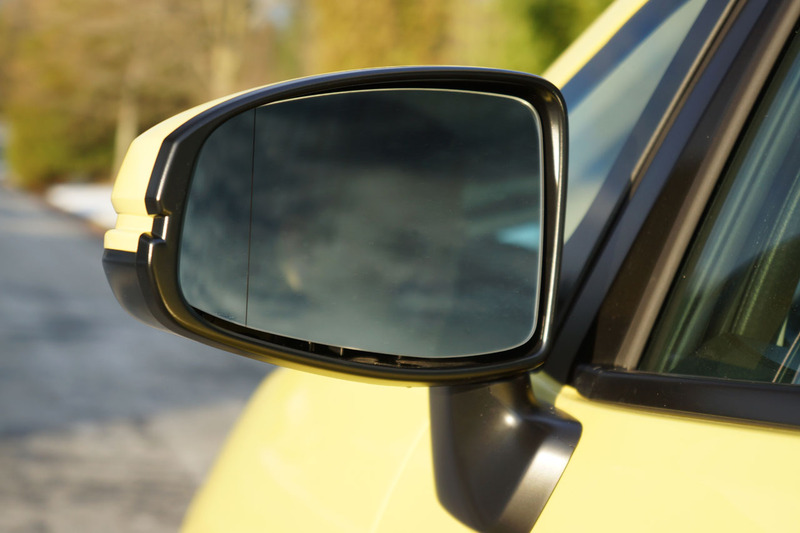 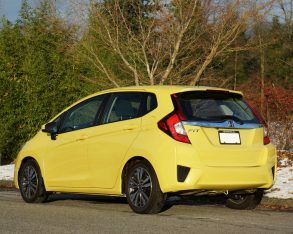 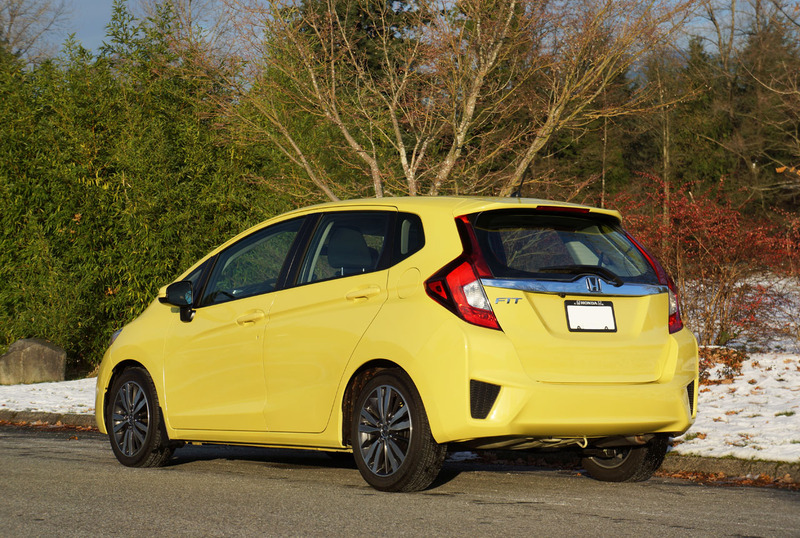 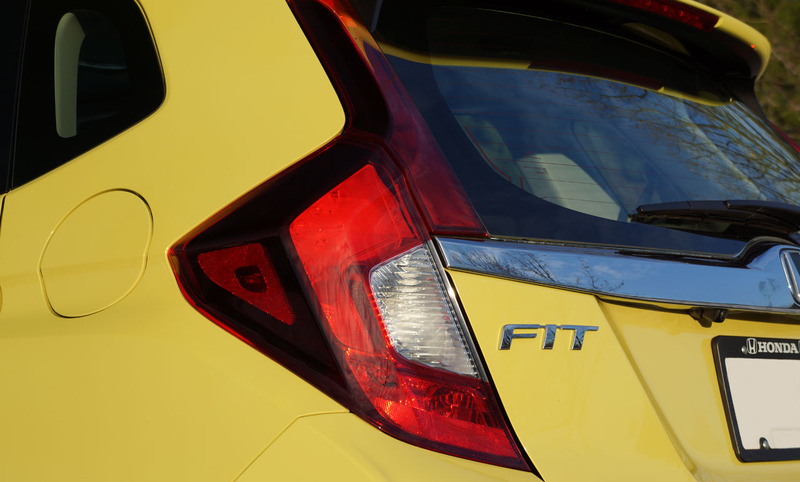 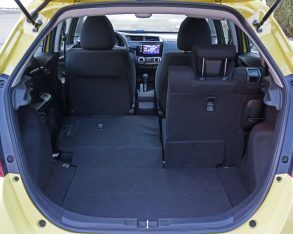 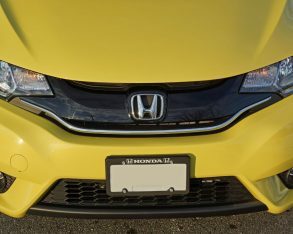 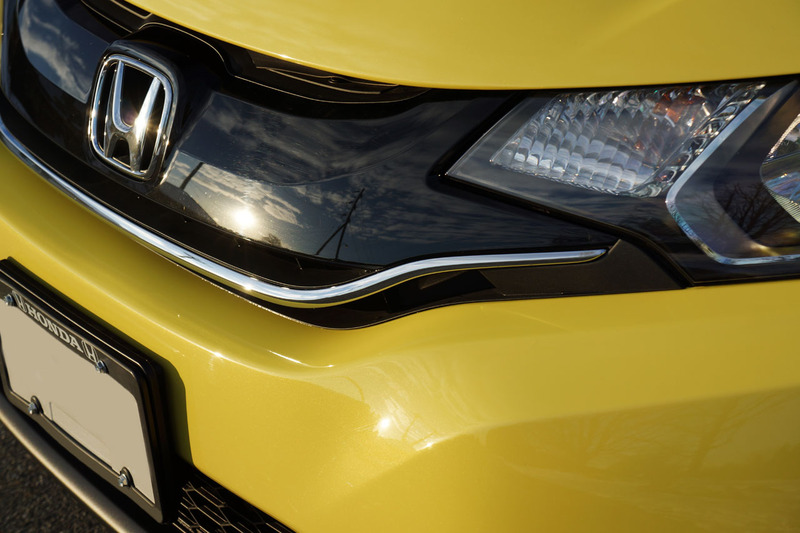 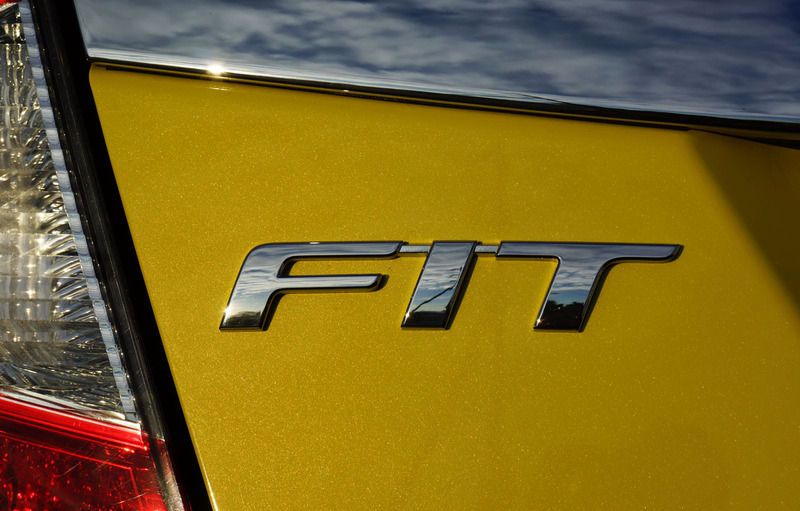 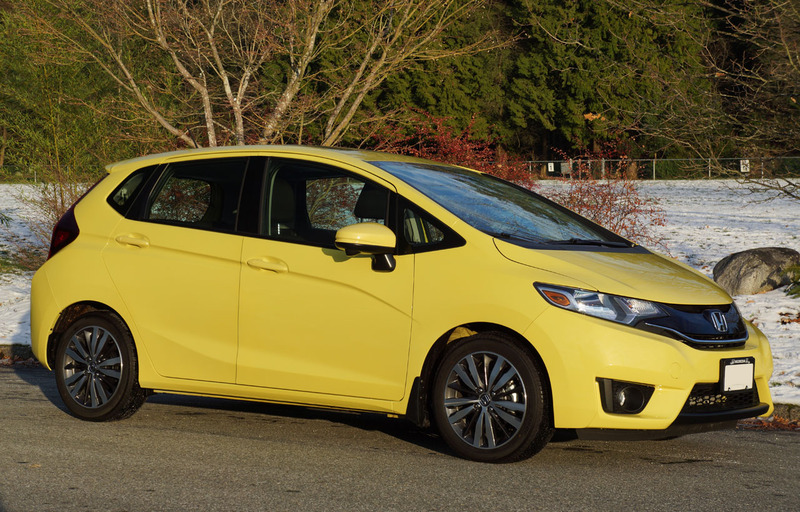 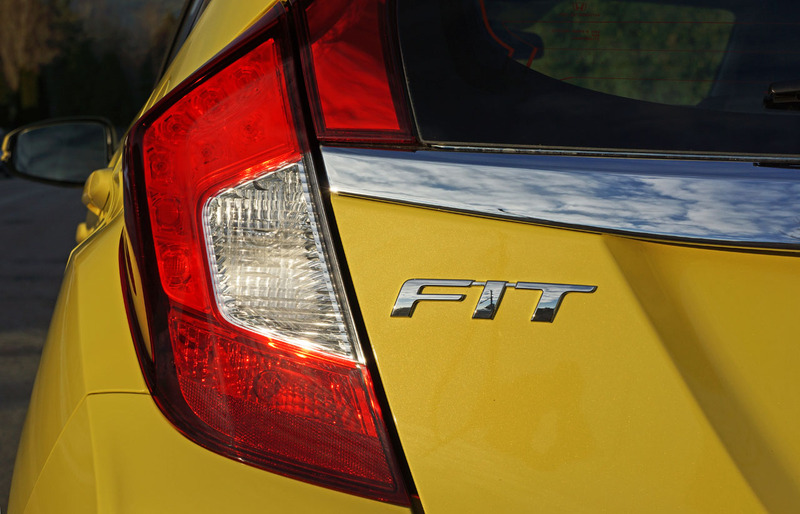 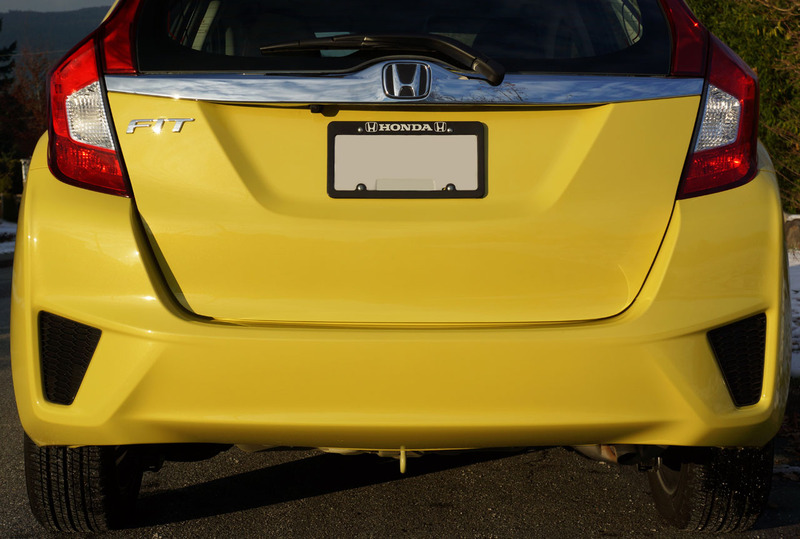 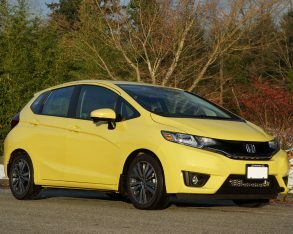 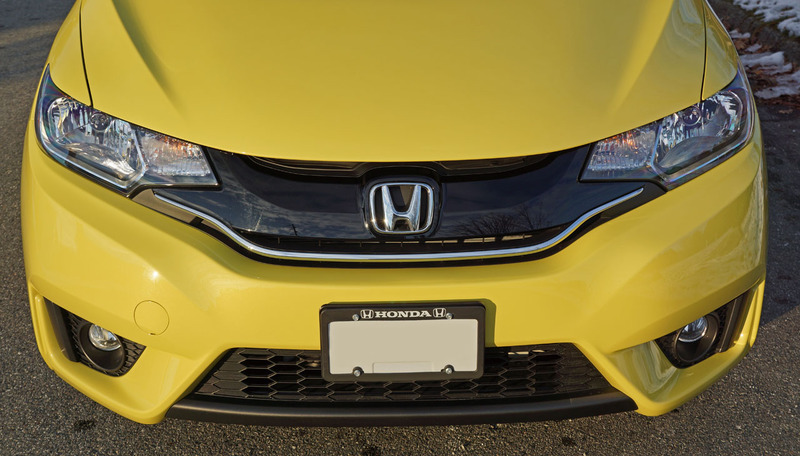 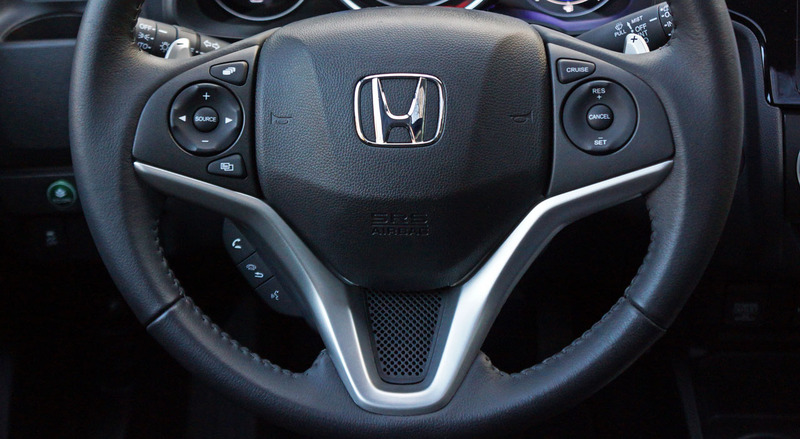 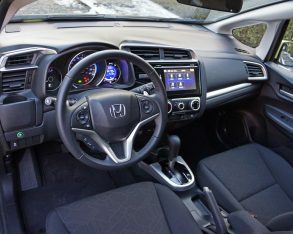 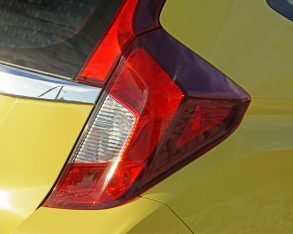 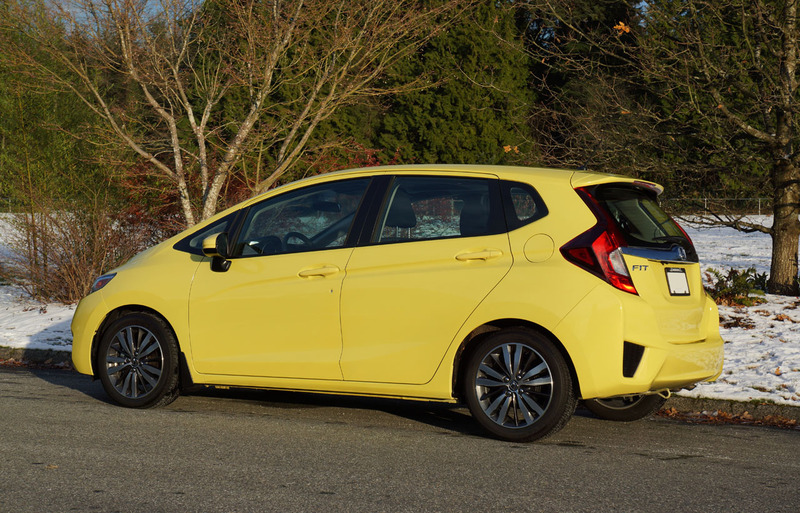 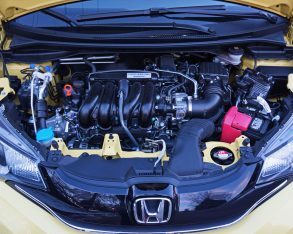 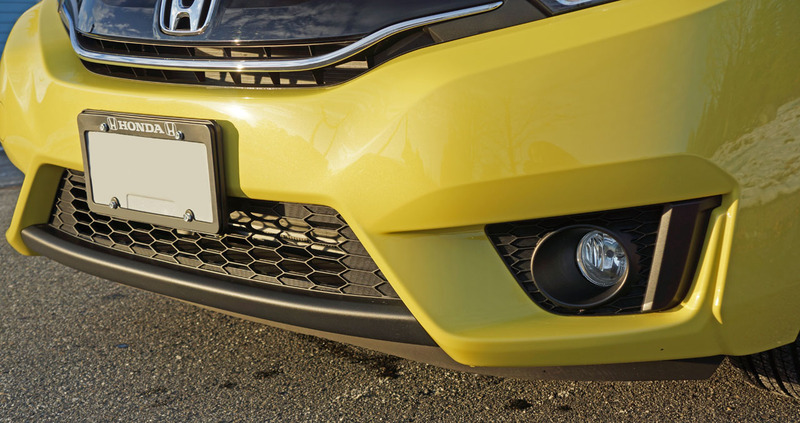 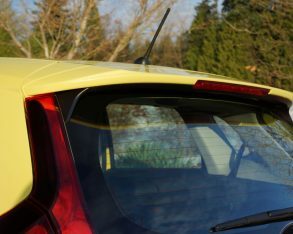 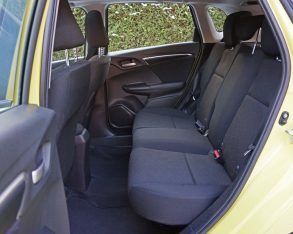 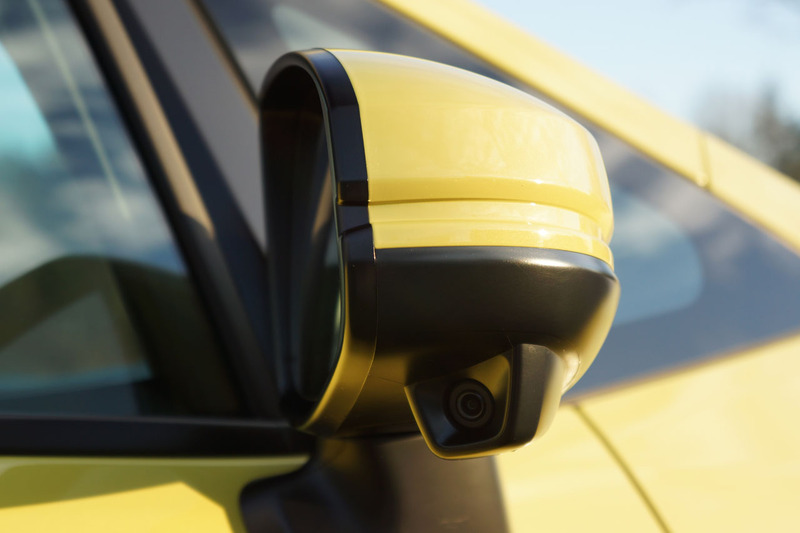 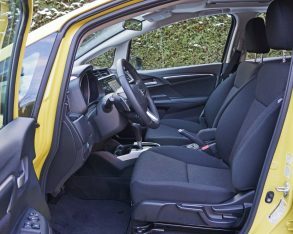 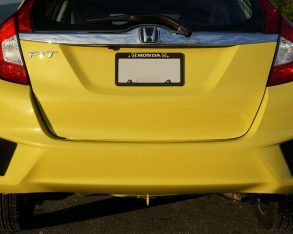 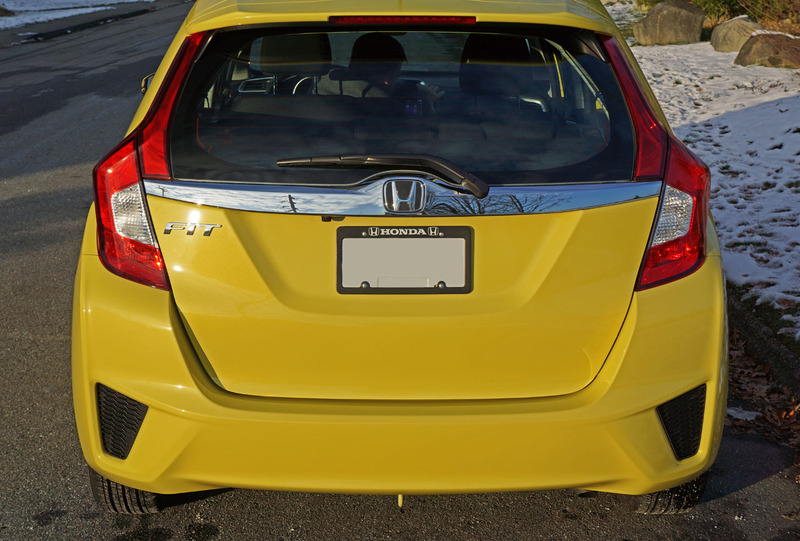 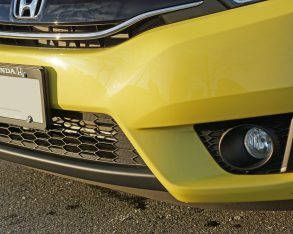 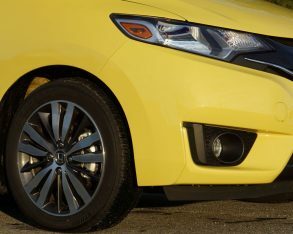 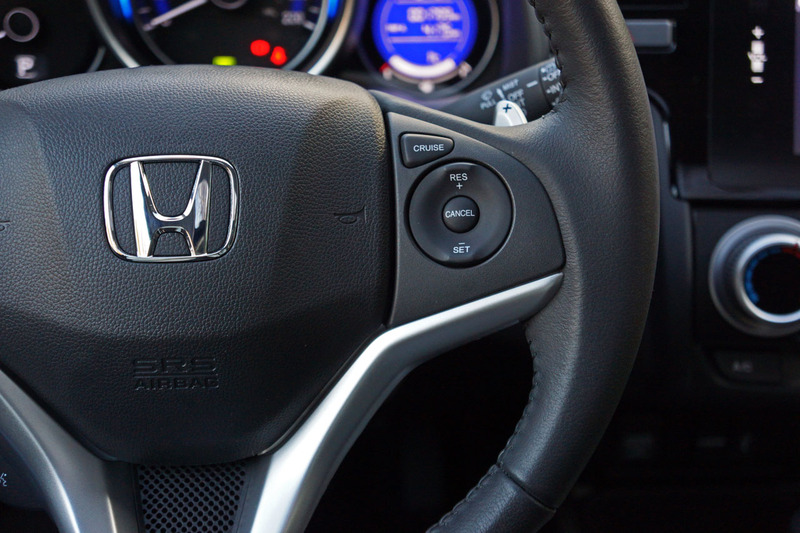 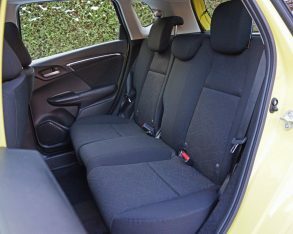 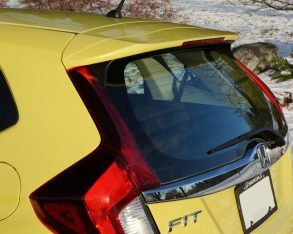 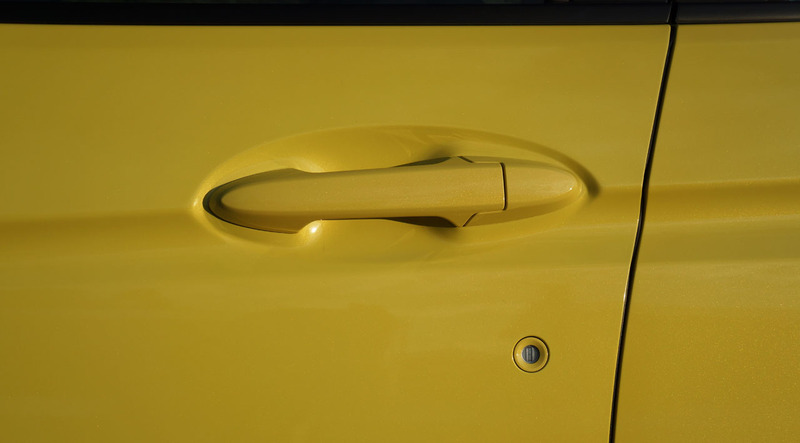 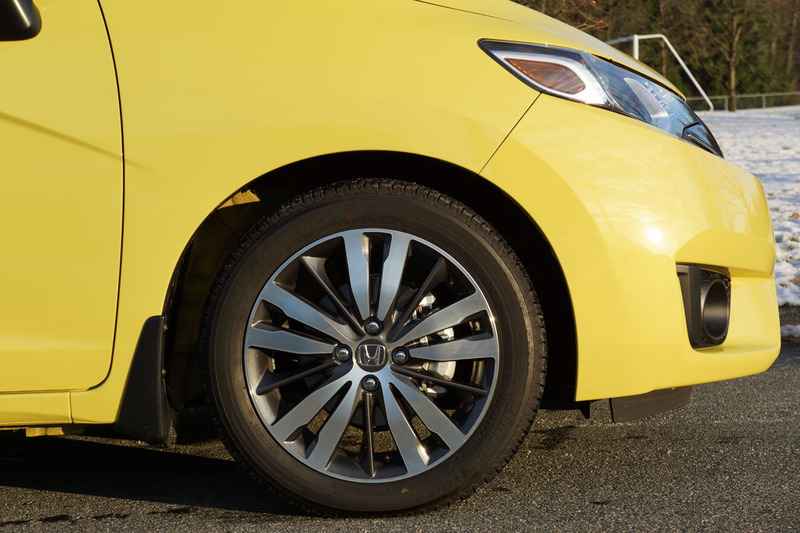 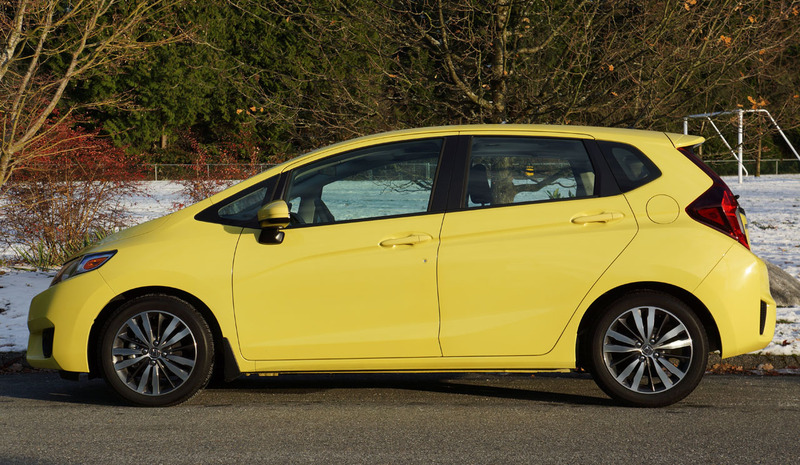 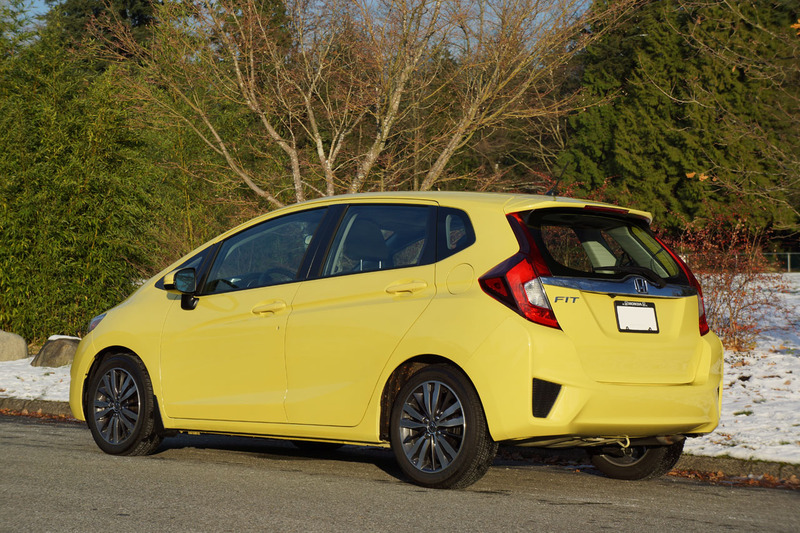 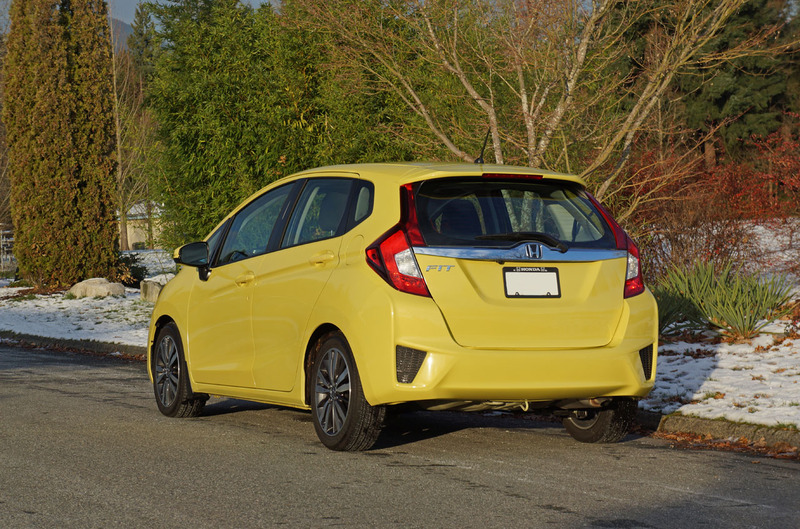 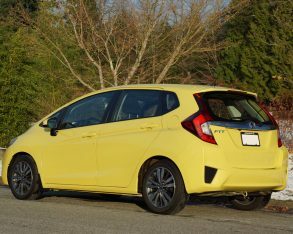 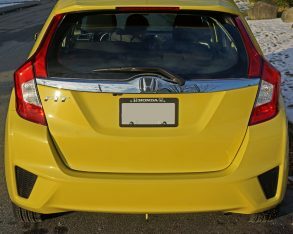 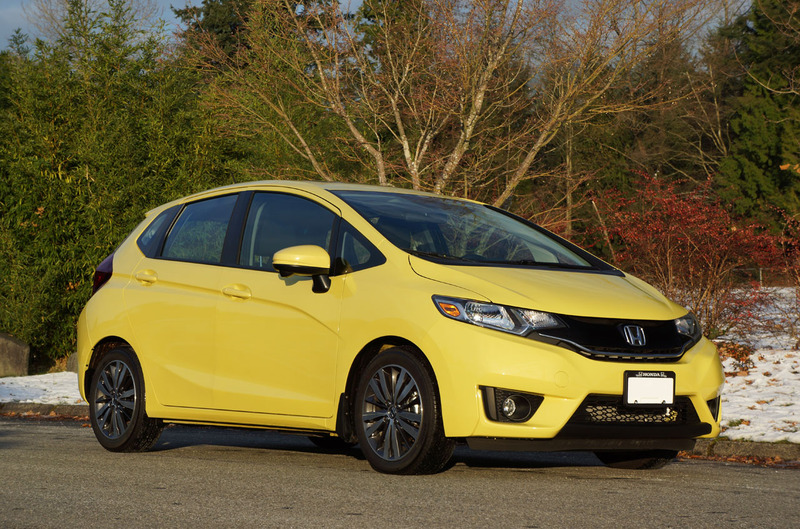 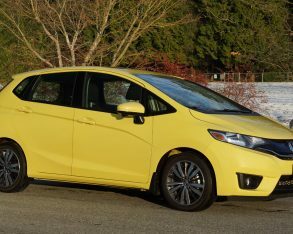 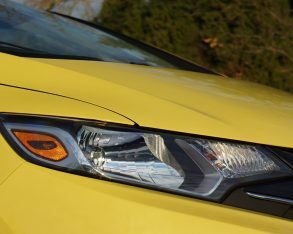 As you can probably imagine I will continue recommending the Honda Fit to anybody looking for a small car, as I believe it’s the best in the subcompact class. 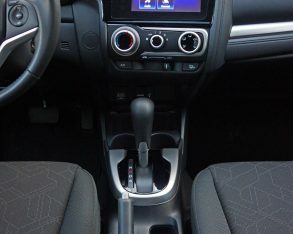 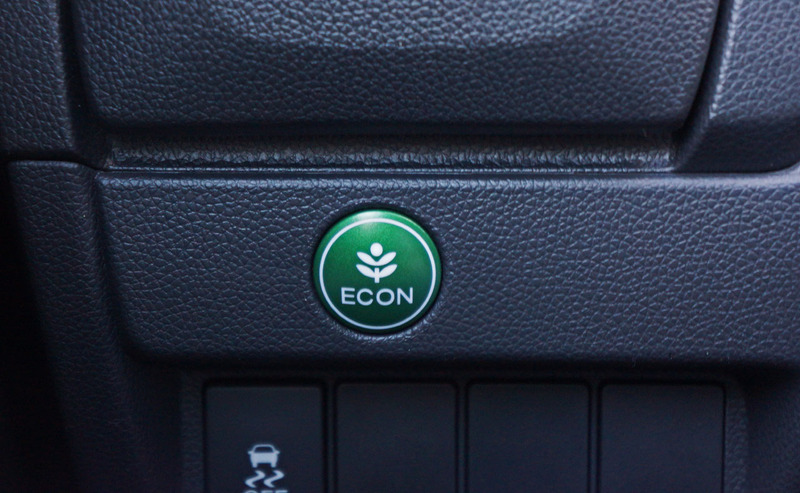 It drives well, gets great fuel economy, delivers excellent interior quality and top-tier standard and available features, and accommodates everything you might want to put in it better than any of its competitors. 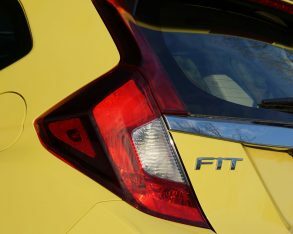 On top of all this it’s the best-looking Fit yet.